By: Thorsten Overgaard, April 4, 2015, Updated April 5, 2018. 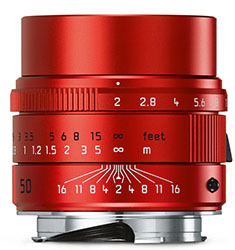 The Leica 50mm APO-Summicron-M ASPH f/2.0 has been labeled “The best 50mm lens in the world”. I asked myself "how is it the best?" 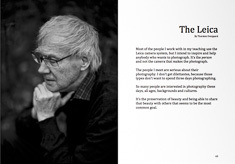 and when I came up short, I interviewed the designer of the lens himself, Mr. Peter Karbe. The story of the ridiculously normal looking $8,250 Leica 50mm APO-Summicron-M ASPH f/2.0 lens for the Leica M cameras is the vision of a perfect lens, dreamt of for years by the master lens designer Peter Karbe. He knew it was possible to make it, but unfortunately at the same time he also knew it would be impossible to demand from customers what it would cost. In this article I will try to define what is so wonderful about it, and I will also give the backstory as to how this lens became reality. 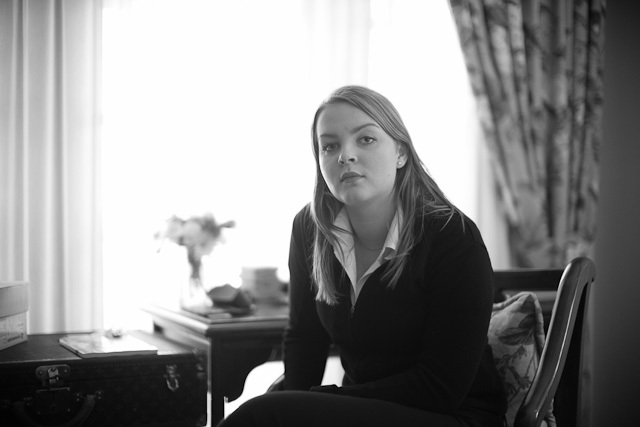 Robin Isabella Overgaard in Berlin. Leica 50mm APO-Summicron-M ASPH f/2.0. When I visited the old Leica Camera AG factory in Solms in Germany in January 2013 I video-recorded a talk I had with legendary lens designer Peter Karbe. Unfortunately the sound was so bad (made on the D-Lux 6), I decided to do a written interview and not use the video. It was lying in the archive for a while. When we met in April 2014 in the new canteen in Wetzlar, I told him this was the reason the interview hadn't been published. "Well, I haven't been missing it", he replied with a big laugh and an attitude that overall show the nature of Peter Karbe. He reminds me of a shy school boy that avoids eye contact, but then when you ask about the airplane he is holding in his hand, he forgets his shyness and explains enthusiastically all about it. 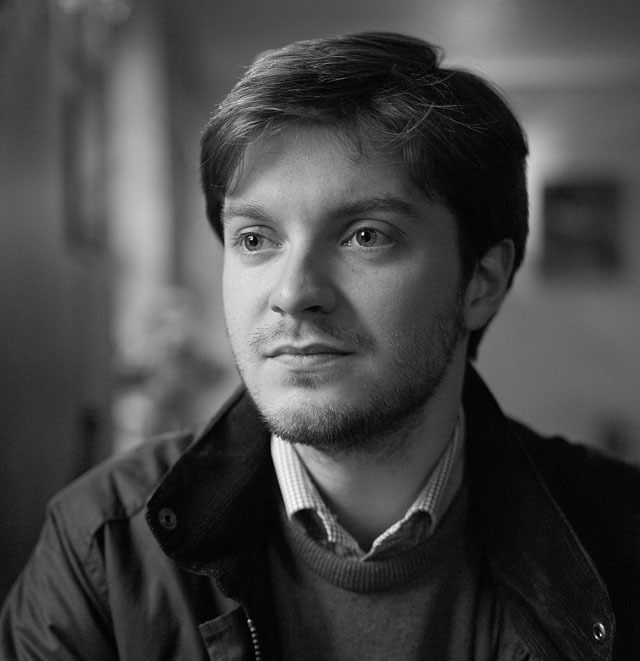 The Leica M Monochrom "Henri" with the Leica 50mm APO-Summicron-M ASPH f/2.0 lens. 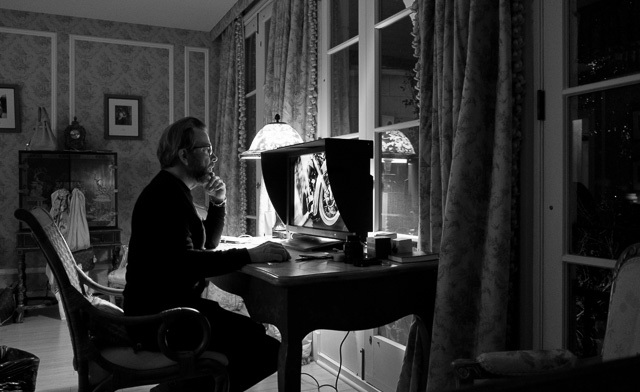 They were both released in May 2012 in Berlin, and promoted a new level of resolution in details and sharpness. He obviously loves everything about lenses. 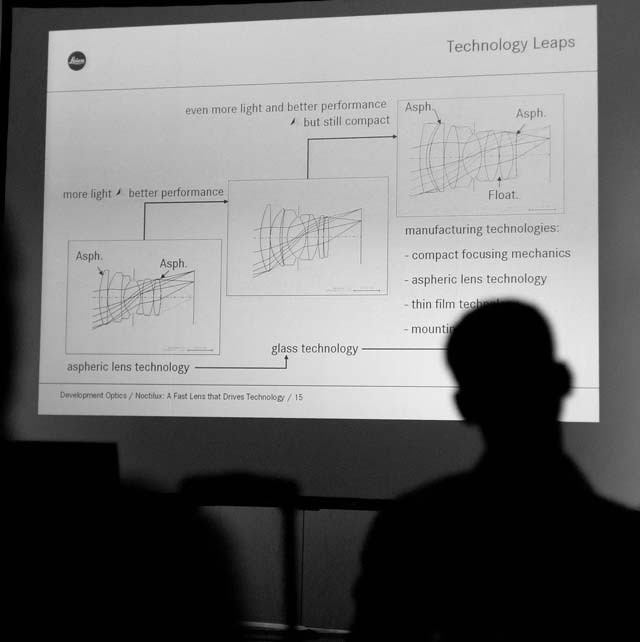 I rememeber when he was doing a talk some years ago about the Noctilux f/0.95. This private person in front of 100 people, so enthusiastic about the details of the design that he can keep talking about it. People I've talked with through the years just love Peter Karbe. That goes for high and low inside and outside Leica. 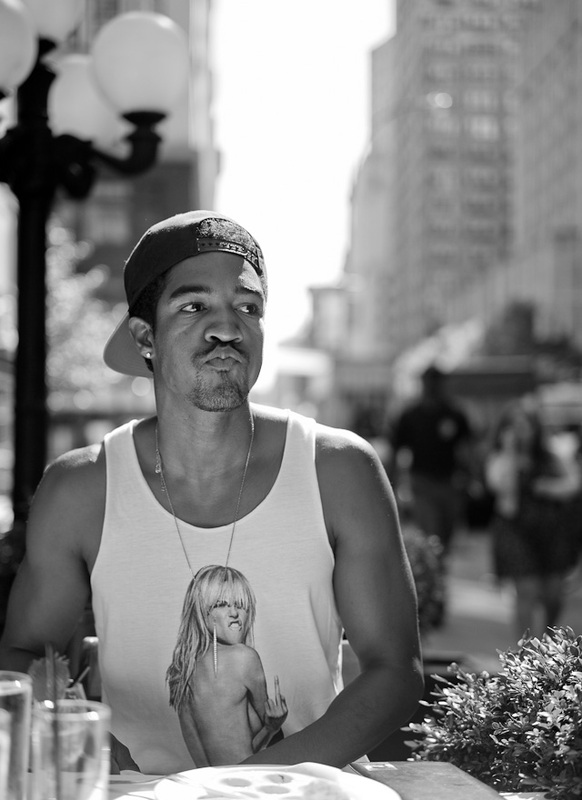 Peter Karbe is dope! (Definition of dope slang: "Awesome", "extremely cool"). 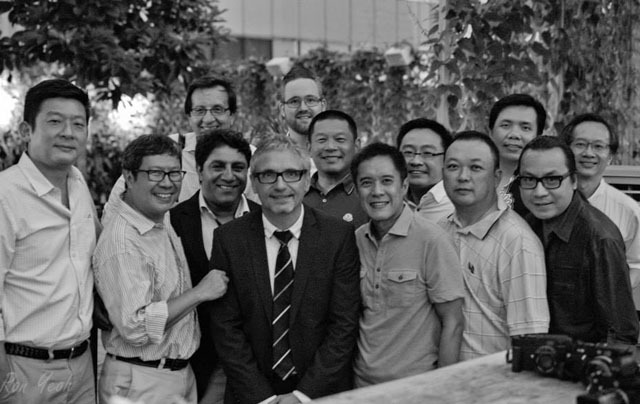 One of the rare occasions where Peter Karbe was outside his office: October 2013 with hard-core fans in Singapore who also got him to sign his lenses. Photo by Ronald Yeoh. I may not be a broadly known fact, but Peter Karbe finds 50mm lenses fascinating. He has made the outstanding 50mm Summilux-M ASPH f/1.4 that he admitted in fact is an APO design though it doesn't say on the lens. 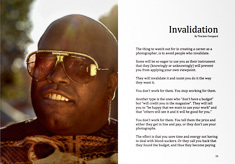 Him and his team decided to conquor the rules of everything and make a 50mm f/0.95 that is both lightstrong and a groundbreaking great lens wide open. 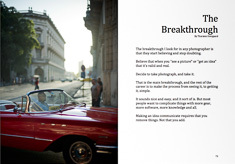 Peter Karbe finds the whole history of Leica 50mm lenses fascinating. Maybe one day we will have a talk about all of them, that is more than 20. 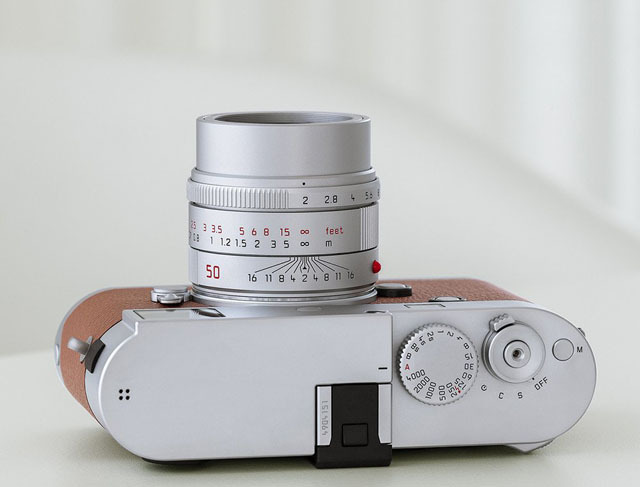 Leica 50mm APO-Summicron-M ASPH f/2.0 in silver was released in July 2016. 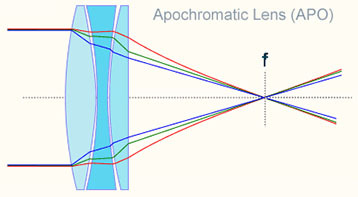 Since the 50mm Noctilux f/1.2 with the asphere technologly of 1966, the development of lenses has moved towards higher performance through glass technology since 1975. With addition of further glass technology, floating elements, APO, more compact focusing mechanisms inside the lenses, as well as new ways to mount the lenses, in recent years, we arrive at what is possible today. The 50mm APO-Summicron-M ASPH f/2.0. For me, I couldn't grasp what was fantastic. I suspect nobody really has been able to define what it is that is fantastic about this lens. So naturally, when I met Peter Karbe, that was my question. East Berlin. Leica M 240 with Leica 50mm APO-Summicron-M ASPH f/2.0. 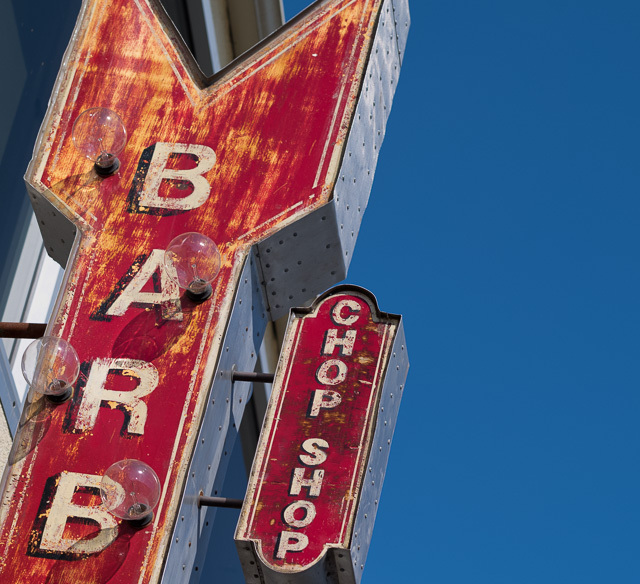 Is this lens extremely sharp, or what is it that is so fantastic about it, Peter Karbe? Peter Karbe with one of the many "Optische Konstruktionsbücher" notebooks of Max Berek from the 1930's. Photo: © Thorsten Overgaard. 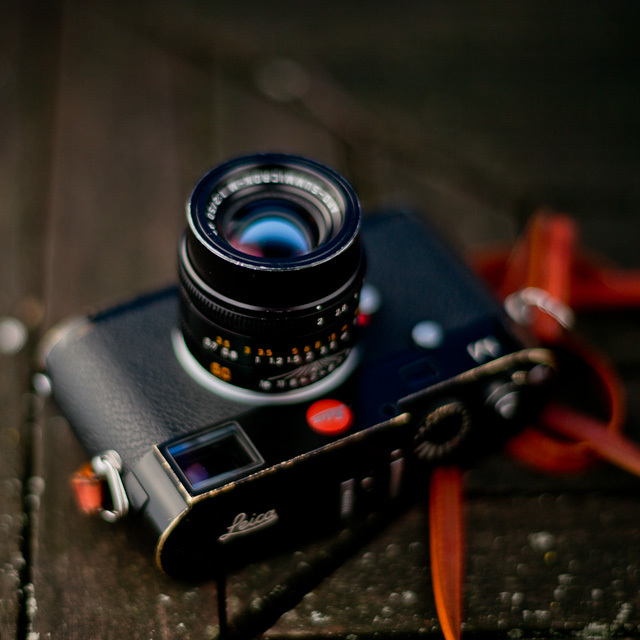 Leica M9 with Leica 50mm Summicron-M f/2.0 Version II. The Noctilux also requires high precision in production. You told that story a couple of years ago, how Leica Camera AG had to build new grinding machines with much smaller tolerances because the existing ones didn’t offer precision enough for a f/0.95 lens. This is an even smaller lens construction. 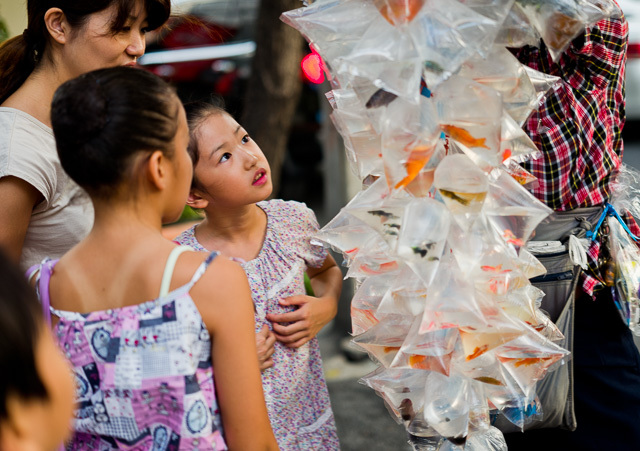 “In the 50mm APO-Summicron-M ASPH, the tolerance for all the elements is very tight. We had to adjust everything to an unheard standard to be extremely precise." 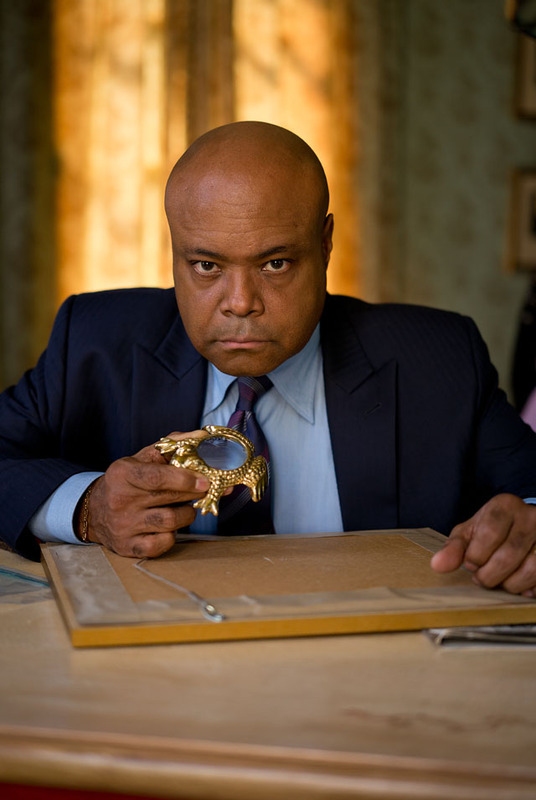 American actor Terence Hines. Leica M 240 with Leica 50mm APO-Summicron-M ASPH f/2.0. The photo was made with available soft light from the windows covered with white curtails. You can read more about in The Story Behind That Picture "The Hollywood Murder". 400 ISO, 1/180 second @ f/2.0. If I should design my own perfect lens, I would look at the old 50mm Summicron Version II and start there. If you look at the skin details and textures of that lens, they are very alive. But I would wish for accurate colors, more tight light control and less overflow of light (especially in the details). What considerations did you have when you had to design the 50 APO: What are the decisions you made when you designed the new APO? (Definition of aberration, in optics: The failure of rays to converge at one focus because of limitations or defects in a lens or mirror. The word aberration comes from Latin, "to stray" and "wandering away"). “What is best performance? 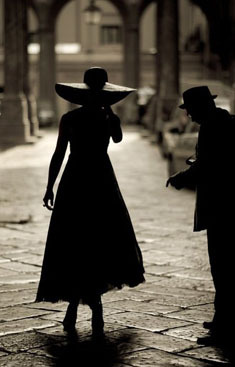 You may ask,” he pauses and look at me as if this is a question he asked himself many times. Tour photographer for Herbie Hancock and Chick Corea, Aaron Meekcoms, in my Los Angeles workshop. Leica M 240 with Leica 50mm APO-Summicron-M ASPH f/2.0. 2500 ISO. When I look at the qualities in the 50mm Summilux f/1.4 with the pearl bokeh in black and white, accurate colors and high contrast, or the soft but detailed look of the old 50mm Summicron f/2.0 II, or the dreamy "controlled overflow of light" look of the 50mm Noctilux f/0.95 … I know you can’t make one lens that contain all these qualities at the same time. So how do you select which ones to keep and which ones to focus on? The cornerstone in British fashion. Leica M 240 with Leica 50mm APO-Summicron-M ASPH f/2.0. That makes sense. You most choose which to keep and which to remove. Some look cool others you want to get rid of? "Yes, it is a choice with the image in mind. It is also very important to understand that we try to remove the aberrations within the system. Each lens element is chosen to deliver the performance by itself." "In some other designs you will find strong lens elements, and when you combine them you will get a sharp lens. But each element will contribute strong aberrations. So traditionally other lens designers will try to reduce aberrations with other elements." 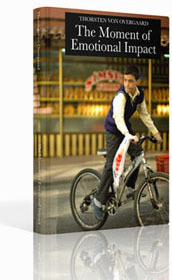 "At Leica we aim to reduce and minimize it within each element itself, with each surface and so forth. That is the concept and thinking behind everything we do." "Look at the M system. We aim to keep it compact and each element has a certain task and this need to be selected carefully. That is the general description and the reason we try so hard." 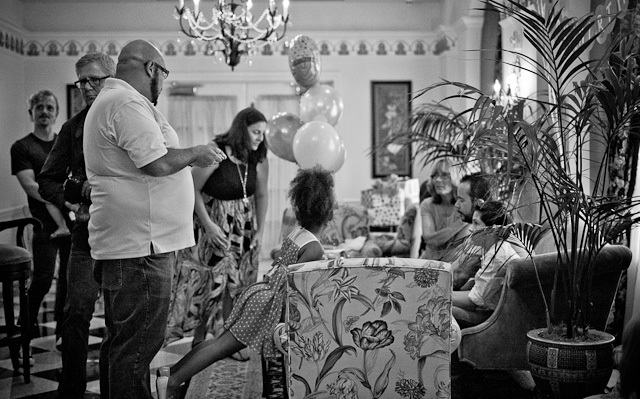 The birthday party. Leica M 240 with Leica 50mm APO-Summicron-M ASPH f/2.0. 2500 ISO. 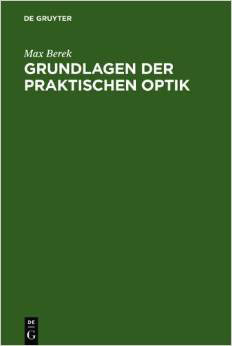 Max Berek wrote the textbook on optical design that everybody studies even today when they want to learn lens design, “Grundlagen der praktischen Optik” (published first time in 1930 by W. de Gruyter & co.). Available as eBook or printed book. Leica basically did optics for 166 years, since the Optical Institute (renamed in 1869 to Ernst Leitz) was established in 1849? 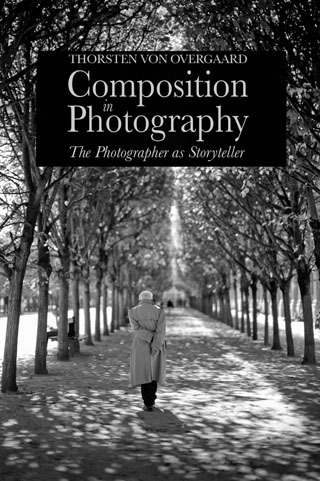 “I’m talking about history for photographic lenses. The optics for Leica microscopes stretches a bit longer back. The history I represent started with Max Berek (1886-1949) when he designed the first 50mm f/3.5 lens for the Ur-Leica that Oskar Barnack made in 1911. That is our heritage. We learned from that. “Reduce the contribution of aberration from each surface, you could say. Control all aberrations … but that is too complicated to explain here, I think!” Peter laughs but looks like he would love to talk about it all week. 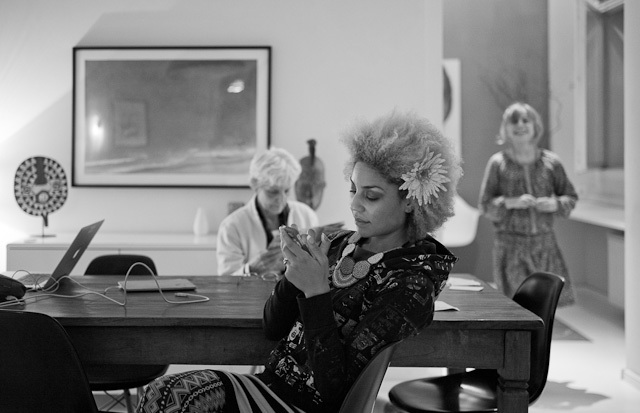 Princess Joy Villa at The Driskill Hotel in Austin, Texas. Leica M 240 with Leica 50mm APO-Summicron-M ASPH f/2.0. 3200 ISO. I am not so interested in more sharpness, I think. I’m trying to understand what you see as the main improvements in the new 50mm APO, besides the resolution and contrast? “You don’t care about the sharpness? You mean the resolution!" "You look at the light and the focus point with the much higher contrast. 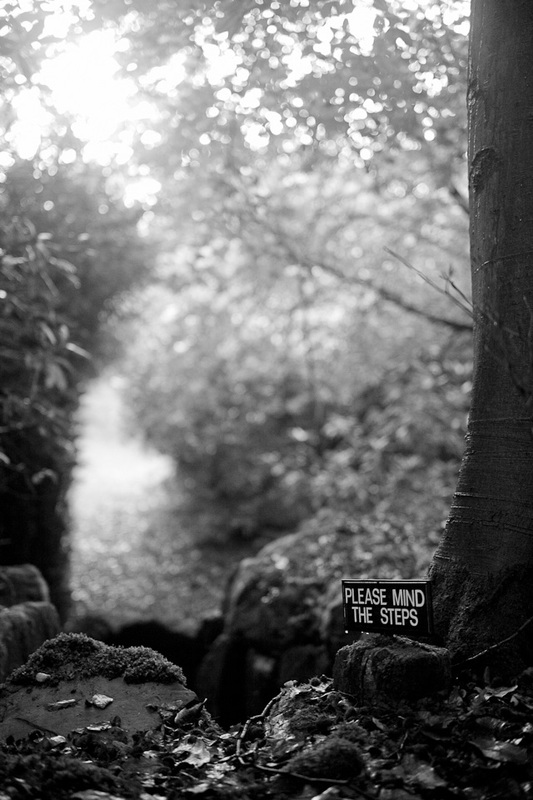 I know your pictures, and you work with depth of field. You need a certain level of sharpness." Lulu Anderson in Hollywood. Leica M 240 with Leica 50mm APO-Summicron-M ASPH f/2.0. 3200 ISO. If I have a photo with a soft lens and increase the contrast in Lightroom, I increase the contrast in the picture overall. You are talking about only high contrast where the focus is. Berlin. Leica M 240 with Leica 50mm APO-Summicron-M ASPH f/2.0. Leica M10 with Leica 50mm APO-Summicron-M ASPH f/2.0 LHSA. © 2018 Thorsten von Overgaard. I like the 90mm APO-Summicron-M ASPH f/2.0 that seem to have so much more horsepower that it looks so natural and easy. As if the lens doesn’t even have to try to get the colors, details and feeling of surface or skin texture right and natural. It just gets it all effortless. Is there a relation between the 50mm APO (designed by Peter Karbe) and the 90mm APO (deigned by Lothar Kölsch) in the way they work? I look at a lens how it treats light and the look I get. Does the 50mm APO get me a magic look? Wow, that is well said! It’s interesting, because I used the APO for a day at Cambridge University some time back. I didn’t think much of the pictures and had them lying around on the hard drive for some months. Then when I finally confronted them to see what I could make out of it, I noticed there was nothing added. They were very natural or neutral: They had a pleasant look, but no special look like the 50mm Summilux or 50mm Noctilux has. A good microphone doesn’t add, remove or change anything. It just records what is. I saw the 50mm APO like that after I had looked at my pictures again. It doesn’t have a fingerprint you can recognize; it is almost like there is no lens. 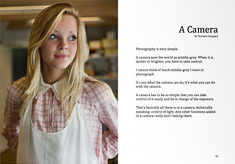 “In my opinion the 50mm APO-Summicron-M ASPH f/2.0 is a new interpretation of no light photography. It has nothing to do with available light or low light. You have structures like black leather with structures inside,” Peter Karbe says and point at the black leather sofa in the reception at the Leica Camera AG reception. “Let’s compare it to sailing,” he adds: “If there is much wind everybody can sail. If there is not much wind, it is hard to sail. With that we ended off. I found it intersting how little I know about lens design, and how technical Peter Karbes understanding of things must be. Yet we managed to talk about the same with different language. I hope this interview clarifies some of the things people have been asking me about. 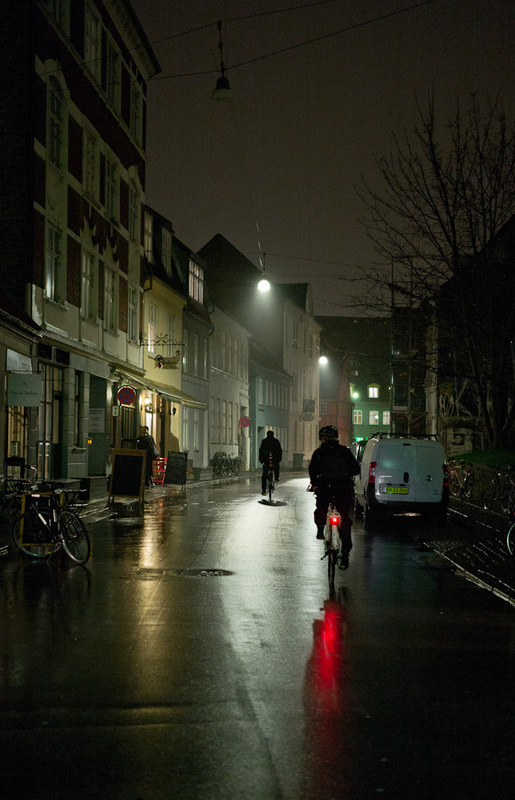 A wet and dark evening in Aarhus, Denmark. Leica M 240 with Leica 50mm APO-Summicron-M ASPH f/2.0. 3200 ISO. 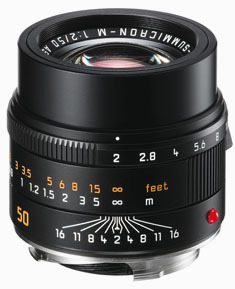 LeicaRumors.com was first to break the news of an upcoming silver edition of the Leica 50mm APO-Summicron-M ASPH f/2.0. Not as a limited, special edition, but as a new product available from any Leica Store and any Leica dealer from JUly 19, 2016. 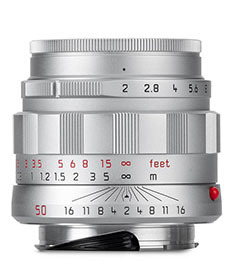 From July 2016 the Leica 50mm APO-Summicron-M ASPH is also available in silver. The red Leica 50mm APO-Summicron-M ASPH f/2.0 there exist - most likely - only one of. That one belongs to Dr. Andreas Kaufmann, the owner of Leica Camera AG. It was made for him as a birthday present and has the serial number 0000001. Another limited edition is this black Leica 50mm APO-Summicron-M ASPH f/2.0 with red feet scale that Hari Subramanyam got Leica Camera to make for him in 2015. The 50mm Noctilux or the 50mm APO-Summicron? A perhaps relevant question I get again and again, is "Do you prefer the Noctilux or the 50mm APO?" Many know my love and admiration for the Leica 50mm Noctilux-M ASPH f/0.95 that I have had mounted on the camera almost exclusively for the last 2-3 years in sunshine and rain. Before that, when the Leica M9 was my main camera, it was the Leica 50mm Summicron-M Version II from 1964 I used almost exclusively. 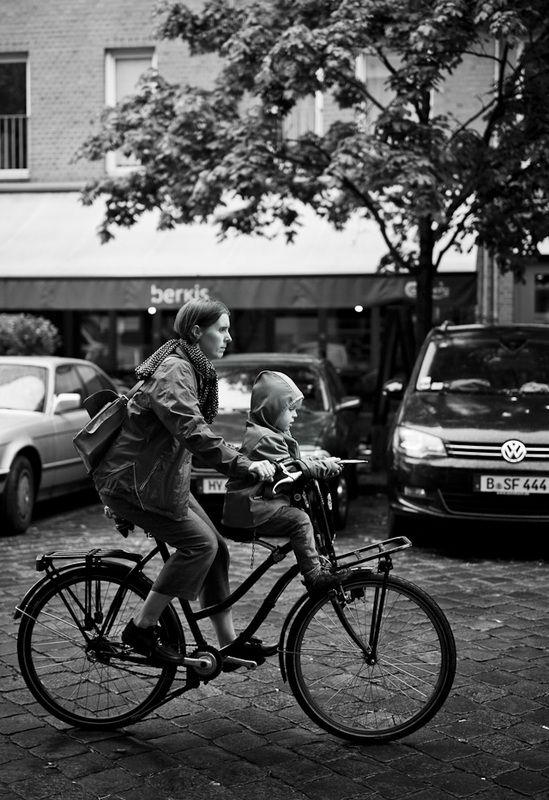 In 2014 I decided to force myself to use the Leica 50mm APO-Summicron-M ASPH f/2.0 almost exclusively on the Leica M 240. It was obvious to me that if I had to understand this lens, I had to use it a lot. There is so many reasons - aberrations as Peter Karbe would call them - not to use the 50mm Summicron from 1964. Yet that was what I had done from 2009 to 2012. First out of need and curiosity because I had the lens when I got the Leica M9. Later I just couldn't live without it. Faye unpacking. Leica M 240 with Leica 50mm APO-Summicron-M ASPH f/2.0 with B+W ND-filter (X4/2-stop/0.6). 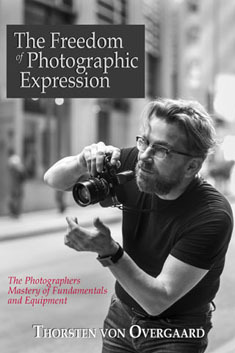 Despite the old Summicron's lack of ability to manage colors when shot against the light, to name one clear and strong aberration - I managed to make images in both black and white that was clearly detailed and sharp, contrasty and - given not too difficult light conditions - created great color photographs. The concept "perfect 50mm lens" has really bugged me. 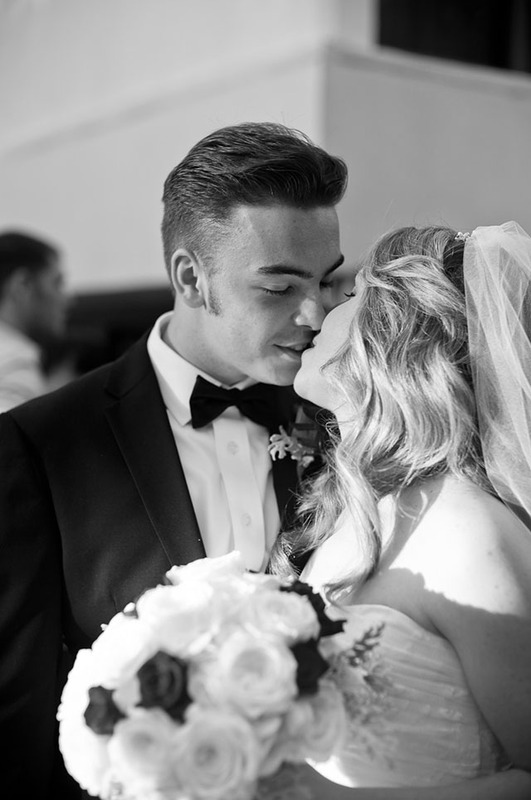 What's going to happen to my images when I use a perfect lens? That is what the 50mm APO-Summicron-M ASPH f/2.0 was promoted as, and I am sure Leica Camera AG have been regretting this marketing strategy a few times during the period where the new lens was first delayed, then recalled, not to mention the lenses people have sent back for service because they had dropped them or bumped into something so they went out of adjustment. I think the conclusion is that no such perfect lens exists. You cannot buy yourself into "perfect". My son Oliver and Brittany. Leica M 240 with Leica 50mm APO-Summicron-M ASPH f/2.0. Perfect is something a lens turns into when you use it. You add the perfection, so to say. 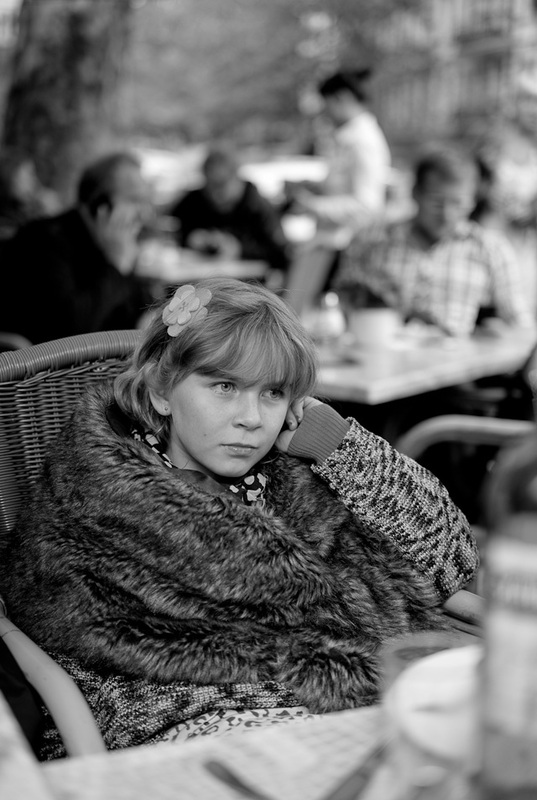 The 50mm Summicron from 1964 turned out to be a perfect lens for me. Not that I didn't notice when it didn't perform as I would want, but perfect in the sense that is was my lens and I have made a lot of photographs with it that worked exactly as I wanted them to. 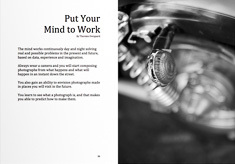 Exactly as Peter Karbe said, I knew the lens and knew what to expect and how to make it perform. Using a lens will always be an interrelation between the technology and me as user. When I got used to the 50mm Noctilux-M ASPH f/0.95 I knew what to expect and how one or the other scenario would look. That interrelation result in that I see and make the type of photographs that the 50mm Noctilux is good at. I like this look at lot: It looks like a classic lens, yet the lens is able to control a massive amount of light breaking through from above, and at the same time display a lot of details and tones in the shadows. And it maintains a strong contrast.Classic meets new technology. Leica M 240 with Leica 50mm APO-Summicron-M ASPH f/2.0. After a few months I decided to let my hearth decide which lens to use. I wouldn't force myself to use the 50mm APO-Summicron; I would pick the lens that I really wanted to use that day or for the assignment. Mostly I would pick the Noctilux. It was for me the easy one, the relaiable one. Not very different than deciding which car to drive today. You pick the one that is the most fun driving. Not necessarily the one with the best fuel economy or the most expensive one. Just the one you feel like using. Working the devices in Berlin. Leica 50mm APO-Summicron-M ASPH f/2.0. 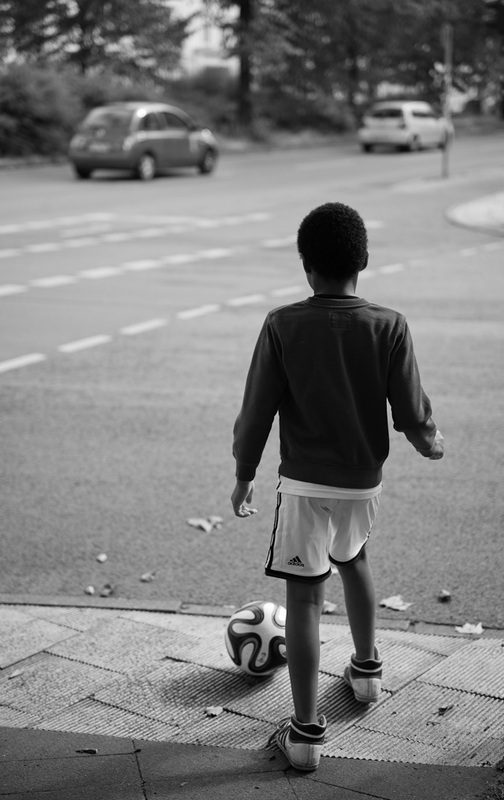 There is something about using the Leica 50mm APO-Summicron-M ASPH f/2.0 that is not very satisfying when I use it. It doesn't perform in a way that makes me happy. This lens keeps under-performing what I somehow expect when I am out and about photographing. Then, when I look at the pictures after a while, I am struck and surprised how well it performs photographs that are classic looking, simple, relaxed ... yet perfect. Family on tour. Leica M 240 with Leica 50mm APO-Summicron-M ASPH f/2.0. I think the term "perfect" make me expect something visible awesome, something in the order of a miracle. I also find myself worrying if the lens bumped into something that might misplace the elements. Something that would make the lens less "perfect". What makes it perfect, if anything, is that it doesn't show any visible speciality. Other lenses have their fingerprints and a look. The 50mm APO-Summicron-M ASPH f/2.0 simply don't have anything other than that it got it all. It didn't miss a beat, it recorded the light and all details. Above the underground station. Leica M 240 with Leica 50mm APO-Summicron-M ASPH f/2.0. It recorded with clarity, clean colors, scary realistic details. It all looks natural. Add to that an interesting ability to see in the dark. Without the milky look the older Summicron lens has when faced with lots of light behind the subject. In an age where so much software and so much photographic equipment is based on fluffy features that will do this and that ... meeting a piece of high tech that simply doesn't add anything. That's the miracle! There is one case where I pick the 50mm APO-Summicron over the 50mm Noctilux, and that is when I want clean and clear colors. The photo of Terence Hines (above in the article) taught me that. 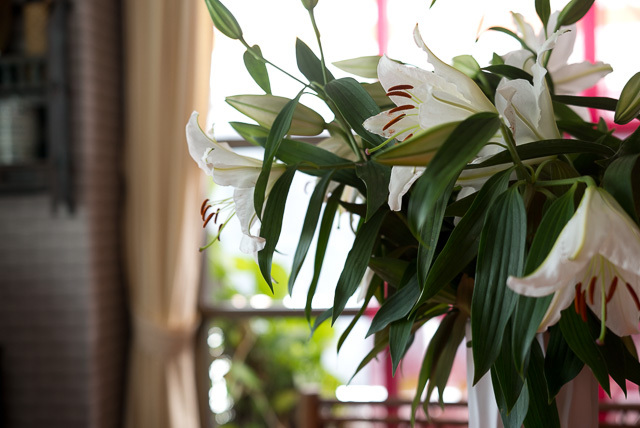 The 50mm APO-Summicron has extremely lively and accurate colors. Then again. 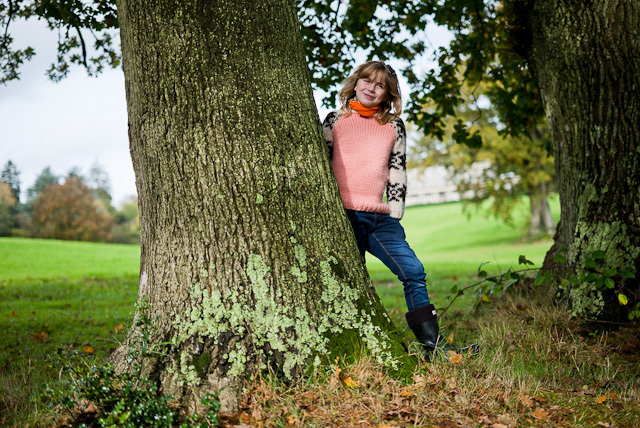 I have done a few photo sessions where I have used the Noctilux and the APO-Summicron so as to try to compare them. It goes like this: I trust the Noctilux to make me my images, but I suspect that the 50mm APO would capture it more real and clean. I did a series of images recently where I made sure to have both lenses (and I used two cameras). I ended up choosing a Noctilux photo as the final one (for a frontpage). 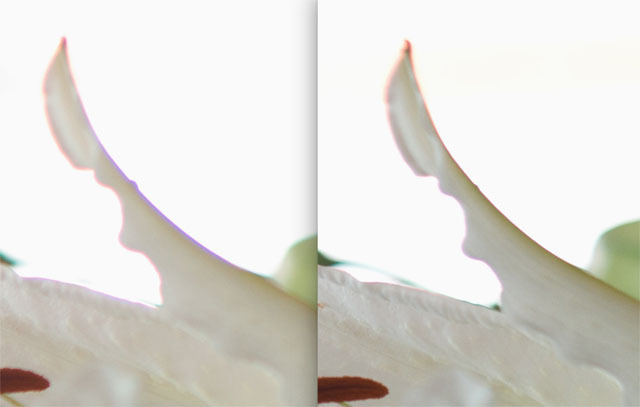 For the untrained eye (or perhaps anybody who didn't know it was two lenses), the differences wouldn't be obvious. What the Noctilux photo had - and usually has - was that feel I wanted. It just had a better atmosphere and emotion. 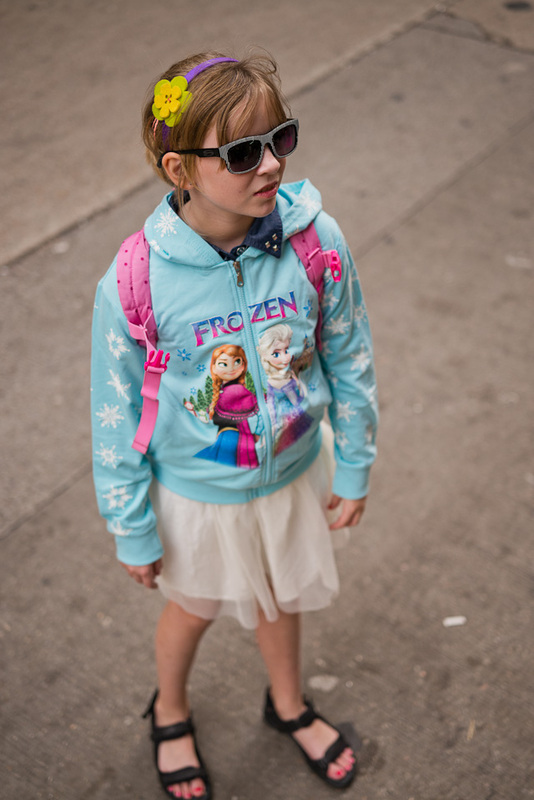 The 50mm APO-Summicron-M ASPH f/2.0 often has the look of a medium format when you pixelpeep the pictures. You blow them up to 100% size and the details are quite amazing. However, in my opinion, that is not as relevant for as the overall emotion and message of the photograph. 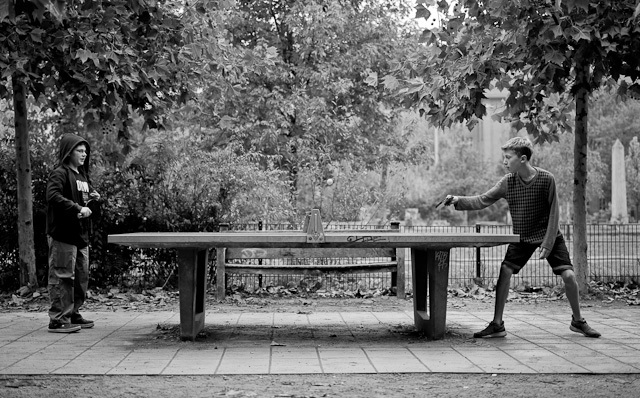 Outdoor Ping-Pong. Leica M 240 with Leica 50mm APO-Summicron-M ASPH f/2.0. Darkness is probably where I have used the lens the least, but the few times I have used it in darkness, I have realized that it actually see details that other lenses don't. 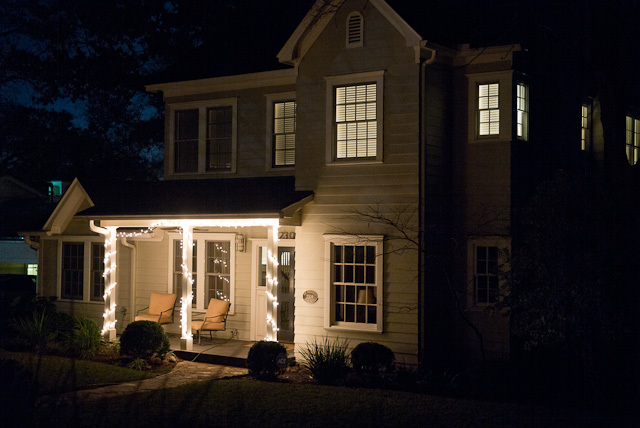 Christmas in Austin, Texas. Leica M 240 with Leica 50mm APO-Summicron-M ASPH f/2.0. 3200 ISO. The Leica 50mm Noctilux-M f/1.0 and f/0.95 used to be the ultimate low light lens. Fortunately I meet more and more people who realize it is not a low light lens, but a lens that sees light different. With a ND-filter on the Noctilux to neutrally reduce the amount of light it becomes a very exotic and rare tool even in strong sunshine. 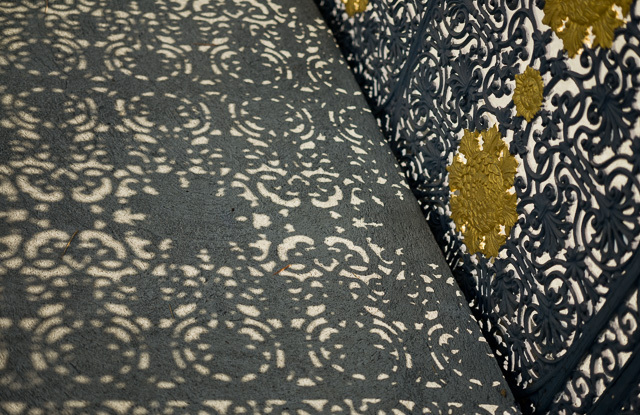 The way it deals with light is what makes it special. Not that it works in the dark. It's a nice feature, but it's not the key feature. 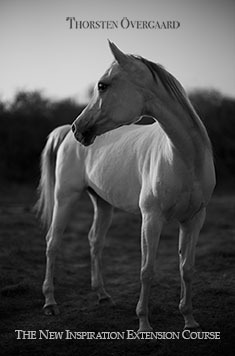 With higher ISO-speeds the amount of light becomes less important, but the way it handles light will always be relevant. The same goes for the 50mm APO-Summicron. It seems as if Peter Karbe and his team actually found a way to "use every photon". It has some very intersting and surprising features in low light and shadows. As we will be getting new sensors in future cameras that will be able to go into even higher ISO range, the Leica 50mm APO-Summicron-M ASPH f/2.0 will become an even more intersting and valuable tool where there is - as Peter Karbe says it - no light. 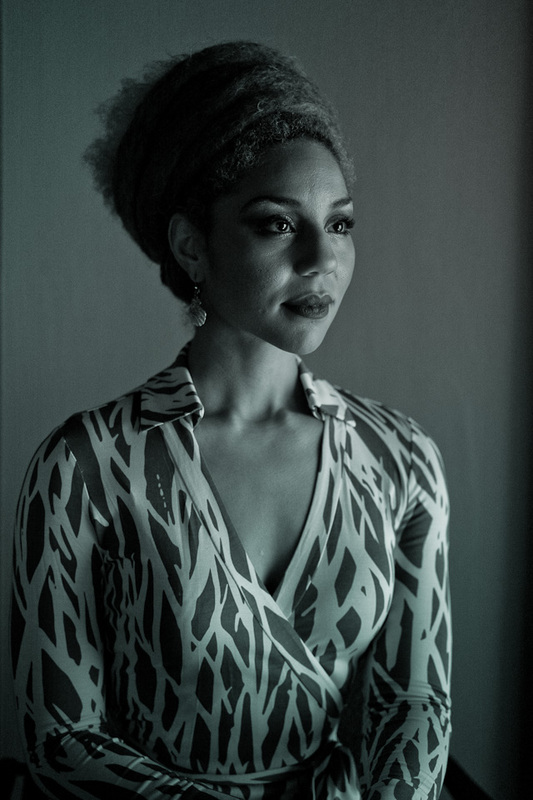 Princess Joy Villa in a low light setting with soft light reflected from a window. Kyoto, December 2014. Leica M 240 with Leica 50mm APO-Summicron-M ASPH f/2.0. 3200 ISO at f/2.0, 1/90 second. 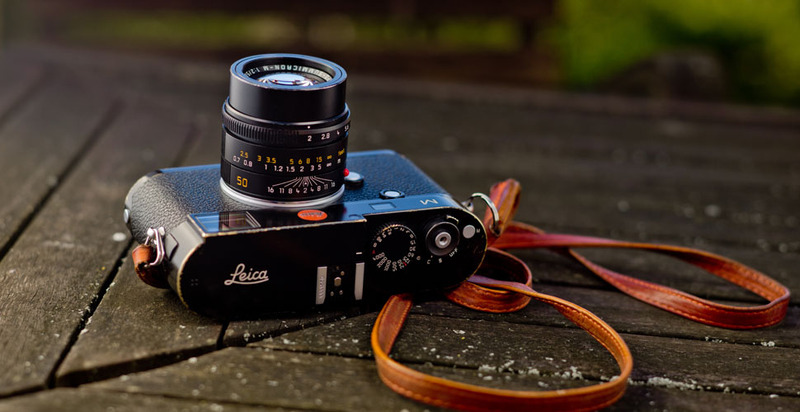 There is no physical or electronic connection between the f-stop on a Leica M lens and the Leica M camera; which means that there is no recording of the f-stop used. When you anyways can see an f-stop in Lightroom it is because it is calculated based on what the small eye on the top front of the Leica M body perceive to be the light condition, compared to how much light hits the sensor. It is very often quite accurate. Though when you use a ND-filter that reduces the light with for example 2 stops, a f/2.0 lens looks as it is either a f/4.0 lens or that the f/2.0 lens was stopped down two stops to f/4.0. So even that also usually is accurate in Lightroom (if you remember that you had an ND-filter on). However, my experience with the 50mm APO-Summicron-M ASPH f/2.0 is that the "guessed" f-stop is often wrong. It will go to extremes as f/11 or f/16 when the lens is in fact f/2.0. 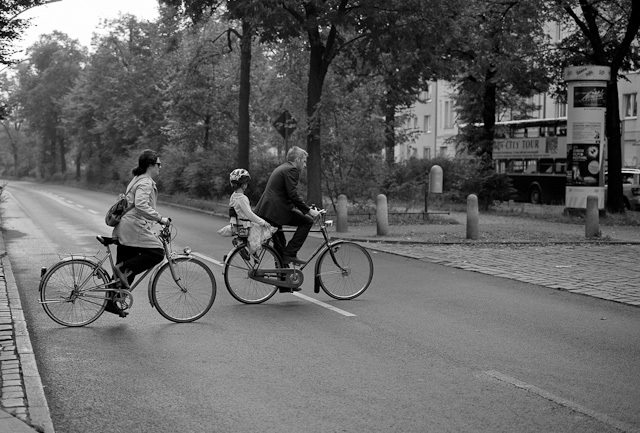 I cannot find any reasonable (or actually any at all) explanation for this and have asked Leica Camera AG. I haven't gotten an answer yet why this could be. Noctilux and APO - "Similar or better performance"
When I had a talk with Peter Karbe in November 2015 about the lens design of the 28mm Sumilux lenses (for the M and the Q) and the 50mm APO and 50mm Noctilux, I had a burning question to ask him. Given that the Leica 50mm APO and the Leica 50mm Noctilux both are subject to the same rigid assembling procedure, they should have some of the same qualities in terms of precision. What I am referring to is that if you open up a lens design from f/2.0 to f/1.4 (doubling the amount of light coming through the lens), you increase the abbarations 16 times. And similer again 16 times when opening the lens further from f/1.4 to f/1.0. This means that when a lens designer moves from a f/2.0 design to a f/1.0 design, he opens a bag of worms in that there are 32 times more things that he has to control. 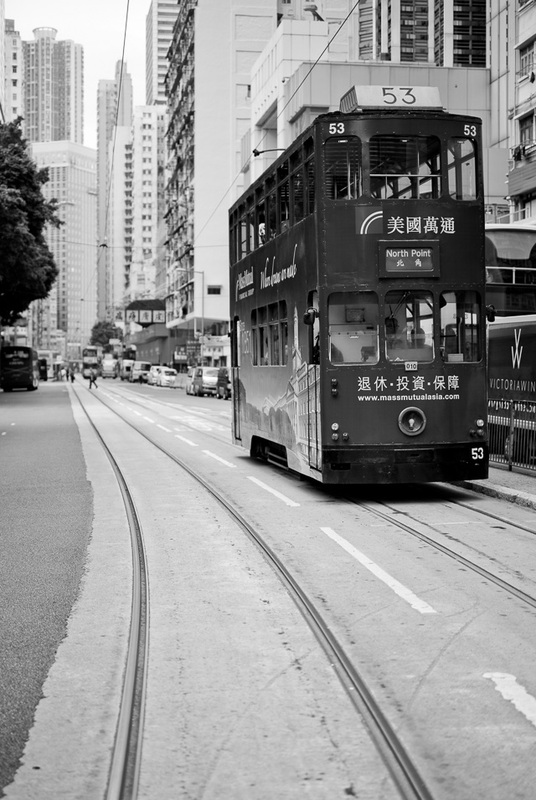 Hong Kong November 2015. 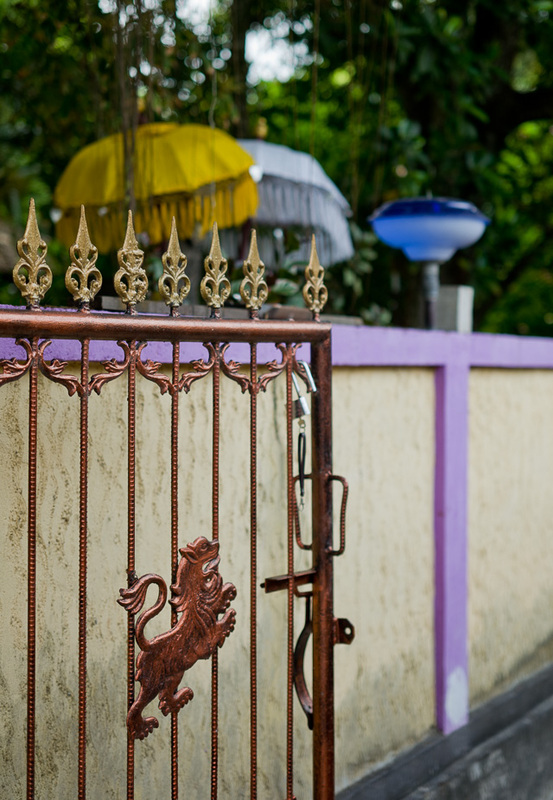 Leica M 240 with Leica 50mm APO-Summicron-M ASPH f/2.0 @ f/2.0. 200 ISO at 1/1500 second. 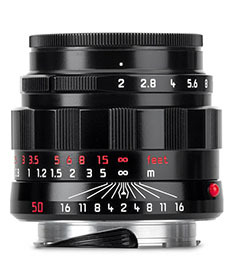 The unique about the 50mm APO is the small size of the lens and the small size of the optical elements: Leica M lenses are already smaller than most other lenses existing. In 35mm photography the APO is an exrremely tiny lens. In the APO is each piece of optics is used to the very edge of the round glass, requiring the grinding of the lens elements to be extremely precise from edge to edge. Further, in assembling so small pieces, the tolerances are obvious smaller than for a much larger lens. A 50mm Leica R lens is som much bigger than the 50mm APO that a 1/1000th milliemeter equals a 1/3000th milliemeter in the more compact design. Something like that. That's why Peter Karbe previously told me that the high price of the 50 APO was mainly due to assembly costs. The Noxtilux is much larger than the APO, but the lens design of a 0.95 lens require 32 times more precision than a 50mm APO. My point is simply that if a lens design is 32 times "harder" to make, and it actually works that well, then that precision wide open at f/0.95 should result in similar extreme precision when stopped down to say f/2.0. 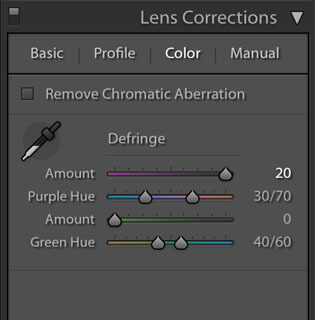 If the Noctilux requires 32 times more precision in grinding and assembling and also have (the luxory of) larger glass, then wouldn't it be able to handle light and colors just as well at f/2.0 as the APO-Summircon at f/2.0? Peter Karbe: "Yes, at f/2.0 the Noctilux has same or better performance." Bangkok, Thailand, December 2015. Leica SL 601 with Leica 50mm APO-Summicron-M ASPH f/2.0. 50 ISO at f/2.0, 1/640 second. © 2015-2016 Thorsten Overgaard. Does it make a difference that they are the same? Now, this is something I have tested a few times in the past , but never formally: I don't do test benches, MTF charts and all that. It takes an effort even to use a tripod for me. I don't use one when I take photographs, so why would I suddenly use one to test something? In other workds, turn to somebody else for scientific tests and comparisons. I just compare things the way I would use it and to understand how to use it better. But I've been curious about the "perfection" of the 50mm APO compared to the f/0.95 Noctilux. I've made a few portrait sessions where I used the Noctilux at f/2.0 and the 50mm APO at f/2.0 and compared the results. But what happened then is what happens mostly in life: I decide to use the Noctilux wide open at f/0.95 because that is what it does best and what I like the best about it. I've never asked myself how the Noctilux perform at f/16 becuase I never saw any reason to use it at f/16. But I know a lot about what it does at f/0.95, and how to get it to do that. 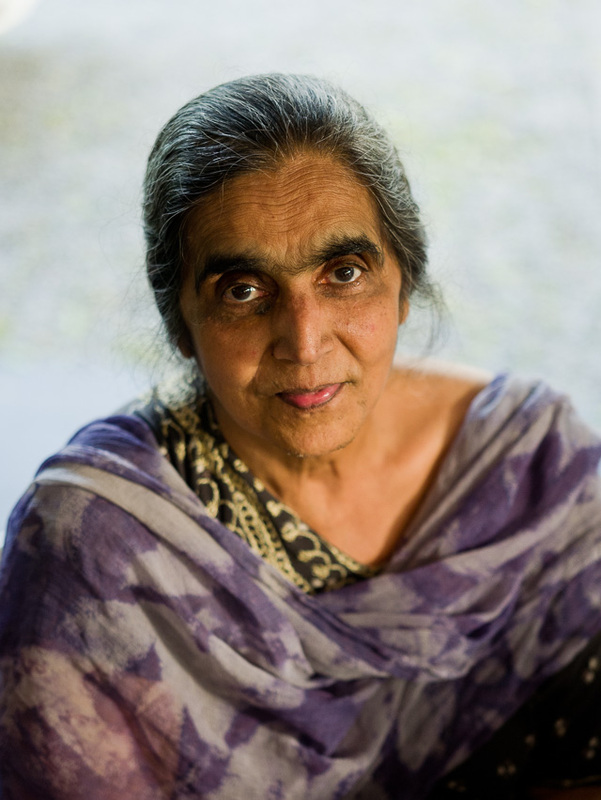 I met this Indian woman outside Rasavana Retreat in Bangkok, December 2015. She was very curious and young at mind. Her family is 4th generation Thai, bur from India originally. Leica SL 601 with Leica 50mm APO-Summicron-M ASPH f/2.0. 800 ISO at f/2.0, 1/125 second. © 2015-2016 Thorsten Overgaard. What's the point in having f/0.95 if you don't use it? If I "just" want f/2.0 then why would I spend the money on a f/0.95 and carry that heavier lens around? It's very logical. If you have fallen for the f/0.95 Noctilux, there is nothing like it. Which my "experiments" with the two lenses also confirmed. When I compared portarits at f/0.95 made with the Noctilux at f/0.95 to portaits made with the Leica 50mm APO at f/2.0, the APO wins on maximum image detail and color saturation. But the Noctilux still won on the best portrait. The photogrpah I selected was the Noctilux one, not the more "perfect" 50mm APO. Because what I was looking for was not maximum image detail and color saturation but that unique dreamy look. 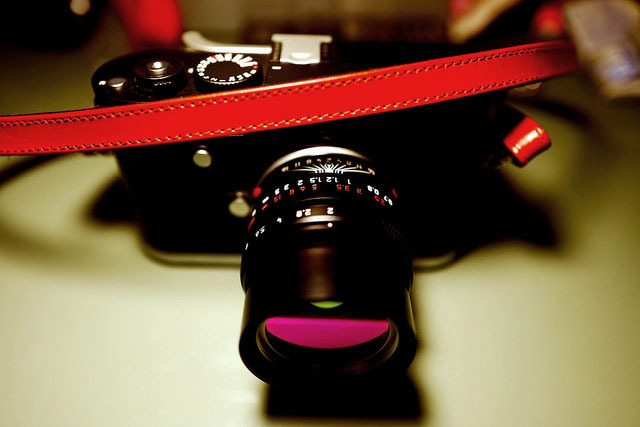 The Noctilux or the 50mm APO..? I all leads to the question: "Should I get the Noctilux or the 50mm APO?" and more recent, "Does it make sense to have both the 50mm APO and the 50mm Noctilux f/0.95..?" But in light of the above it doesn't make sense to have the Leica 50mm APO to obtain maximum image detail and color saturation ... if you are willing to carry a Noctilux and stop it down to f/2.0 whenever you want that "50mm APO look". Leica SL 601 with Leica 50mm APO-Summicron-M ASPH f/2.0. 50 ISO at f/2.0, 1/1250 second. © 2015-2016 Thorsten Overgaard. I am not going to perform experiments and comparisons for you so you can study them and see if the theory is right. So, if you like, take that as an excuse to get both and do some scientific comparisons yourself. I didn't ask Peter Karbe this question to dis-encourage you to get both lenses. They are both beautiful lenses that represent the optimum of lens design and photography technology. That's another reason to get both. I asked to understand the lenses better. 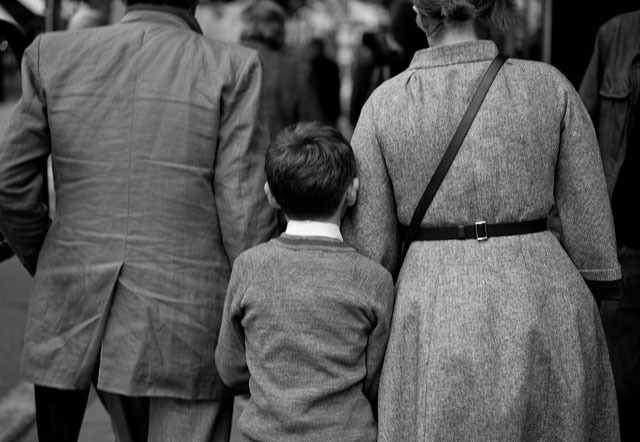 For me it put things in perspective and actually made me more happy with my Leica 50mm APO than before. I've been considering getting rid of it because I didn't understand it. Now I understand more, so I like it more. One of the things that has become obvious with the Leica SL 601 that was released in November 2015 is that the Leica 50mm APO performs extremely well on it. Not only does it sit very well on the camera and gives the camera a great balance. 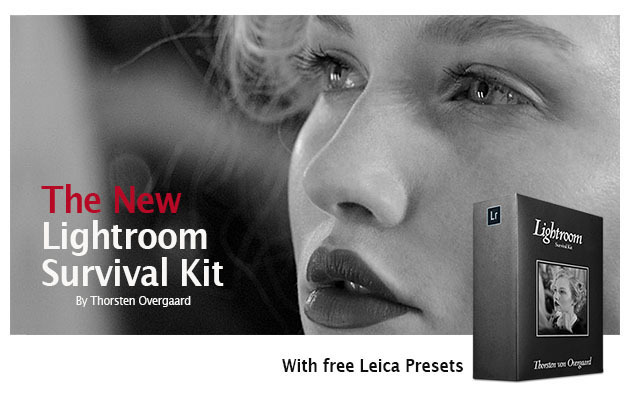 It's also very easy to focus on the Leica SL without having to enlarge the image in the EVF. 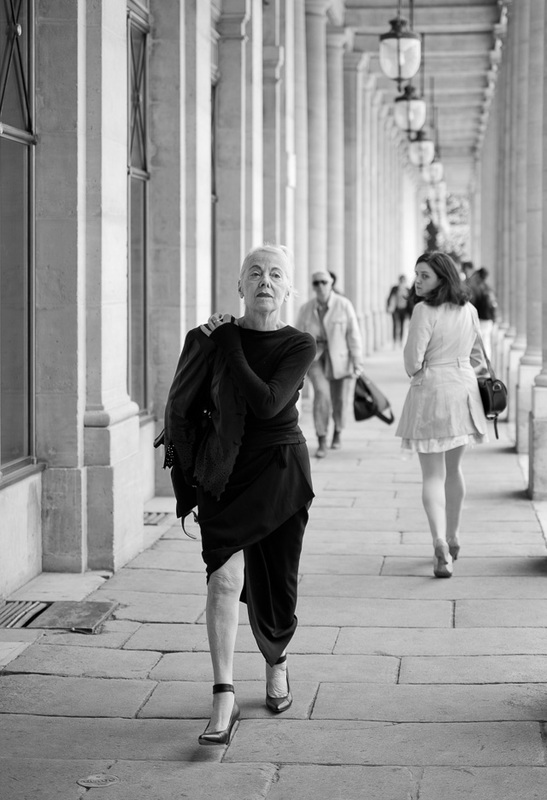 But the photographs the APO makes on the Leica SL is simply in a class for them self. The maximum image detail and color saturation of the 50mm APO is showing off bright and clear on the Leica SL 610 images. And what's intersting is that the Noctilux, 35mm and 28mm and all other lenses sort of looks the same on the Leica SL as they do on the Leica M 240. Only the 50mm APO stands out so clearly better that it makes me wonder why. 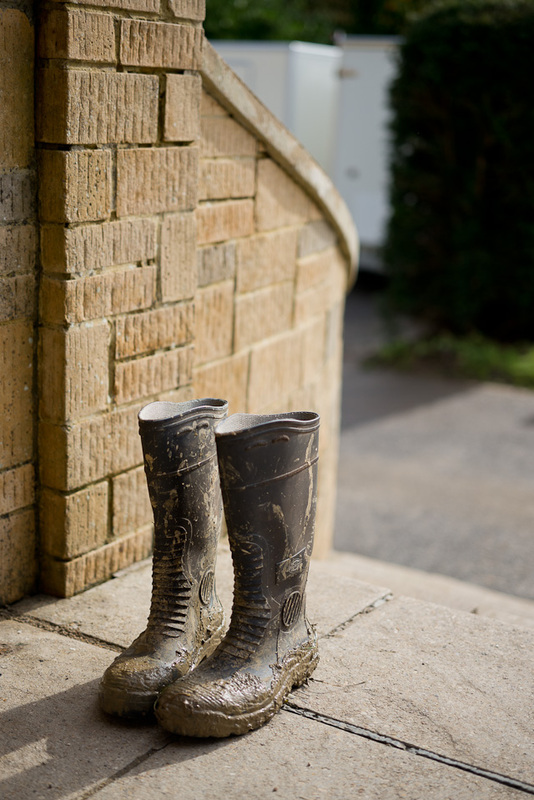 Here is a series of images made with the Leica 50mm APO-Summicron-M ASPH atall the stops from f/2.0 to f/16. I have made a similar series of the Leica 50mm Noctilux-M ASPH f/0.95 in the "Noctilux - King of the Night" article if you want to compare. Aperture f/2.0: Leica M 240 with Leica 50mm APO-Summicron-M ASPH f/2.0 at f/2.0. 400 ISO. 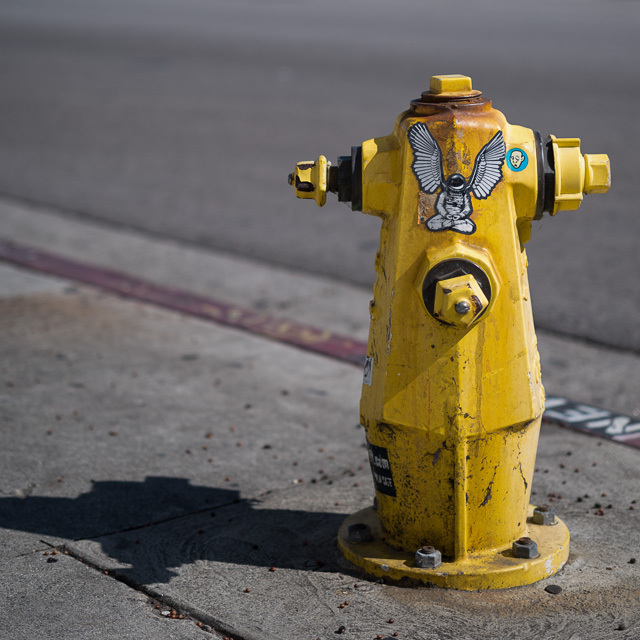 Aperture f/2.8: Leica M 240 with Leica 50mm APO-Summicron-M ASPH f/2.0 at f/2.8. 400 ISO. Aperture f/4.0: Leica M 240 with Leica 50mm APO-Summicron-M ASPH f/4.0 at f/2.0. 400 ISO. Aperture f/5.6: Leica M 240 with Leica 50mm APO-Summicron-M ASPH f/2.0 at f/5.6. 400 ISO. Aperture f/8: Leica M 240 with Leica 50mm APO-Summicron-M ASPH f/8.0 at f/8. 400 ISO. Aperture f/11: Leica M 240 with Leica 50mm APO-Summicron-M ASPH f/2.0 at f/11. 400 ISO. Aperture f/16: Leica M 240 with Leica 50mm APO-Summicron-M ASPH f/2.0 at f/16. 400 ISO. 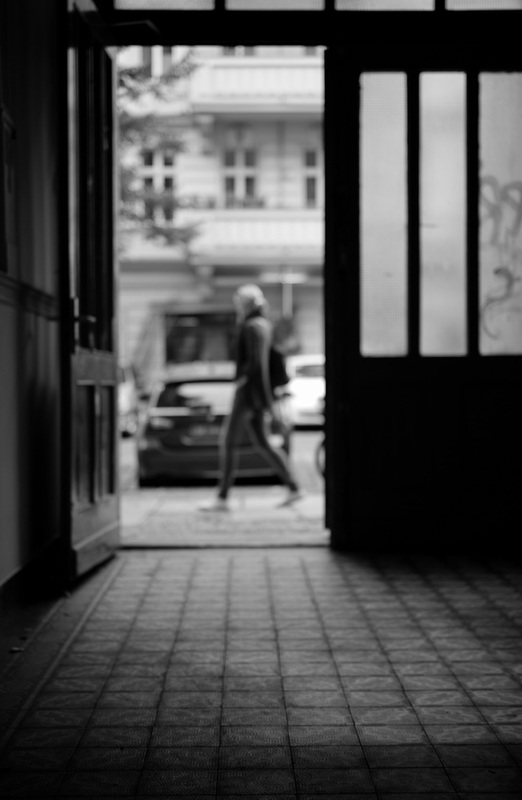 Some times there is a visible fringning wide open in the 50mm APO-Summicron. 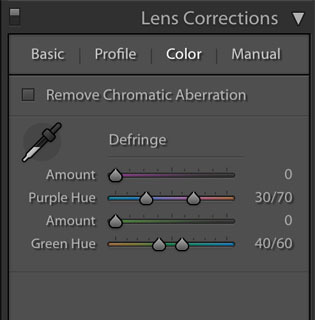 People often look at the purple fringing as an error that better lens design will have to deal with, but truth is it is not going to go away anytime soon. As long as we have sharp lenses and "sharp" detailed sensors, we will have fringing. Purple fringing is more likely to appear towards the edges than the center of the lens. That is also why wide angle lenses may have more fringing "problems" than 50mm and tele lenses. Fringing increase from the center of the image towards its edges. 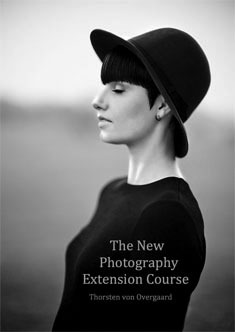 In my case I like to use the lenses at wide open aperture without stopping down, and I like to shoot against the light. This provoke purple fringing of the sort that is seen on high contrast edges. In some lenses you will see fringing in micro details and that is a type of fringing I am less concerned about. Modern Leica lenses deal well with that, and the 50mm APO in particular. The Leica 90mm APO-Summicron also deals very well with fringing in micro details so it is almost non-existent under any conditions. In both cases it results in extreme lively micro details of skin and texture. If you zoom in on an image, you see it. If you look at the overall image you also see it, but then it simply appears as a very lively and crisp image with very precise colors. It's like high fidelity in music. All the small details make up the overall aesthetic. Without details it's still nice music, or a nice image, but with the details it's another level of aesthetic and enjoyment. You don't have to know about each accurate detail to percieve it. In the Leica Noctilux f/0.95 purple fringing is very visible wide open at f/0.95 and up till around f/2.8 when you shoot very high contrast (as a white shirt against a dark suit) or subjects against backlight. It is visible in the Leica 50mm APO from f/2.0 to f/2.8 but less than the Noctilux: It takes more extreme contrast to provoke the purple fringing in the APO. If you care to study the two lenses and the similar samples made in this article and in my Noctilux article, you will see that they deal with it very similarly. Here is a 100% enlagment of an image: Leica 50mm Noctilux (left) at f/2.0 and the similar image with the Leica 50mm APO at f/2.0. The strong backlight here is not enough to create purple fringing in the 50mm APO. But that doesn't mean that it never has purple fringing. If you look close, you can see that my focus changed slightly between the two lenses; it's not as scientific as I would have hoped. But it aligns well with my experience with the two lenses: The Noctilux always has an issue with purple fringing wide open when shot against the light. These two lenses are the two Leica M lenses that require - and are subject to - the most precise assembling at Leica Camera AG, and the are some of the few lenses that are only assembled at Leica Camera AG in Wetzlar (and not at the Leica Camera AG factory in Porto, Portugal). Buying fish ont he street. Leica SL 601 with Leica 50mm APO-Summicron-M ASPH f/2.0. 100 ISO at f/2.0, 1/50 second. © 2015-2016 Thorsten Overgaard. It's easy. In when you work in Lightroom and go to Develop mode, there is Lens Correction in teh bottom of the right panels. You click on Colors in that and you get a panel to control Purple Fringing. In most cases you can simply turn the ruler all the way to the right and get rid of all purple fringing. In a very few cases there will be other colors in the picture that gets affected. So check dresses and other things if they suddently lost a color channel. Mostly the only effect it has on the picture is that the purple fringing disappears completely. It takes a little while for Lightroom to process the change. 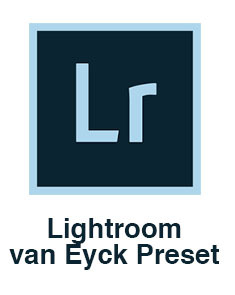 The way Lightroom work is that it reads the DNG/raw file, then the sidecar with changes. The progream uses the computers processor power to render the preview you look at. That's why when you zoom in on an image, it has purple fringing; but then half a second later it disappeared. Next time you look at the picture, it has purple fringing again ... but half a second later it's gone. The only difference betweenthe two images is that I moved Amount of Defringe from 0 to 20. 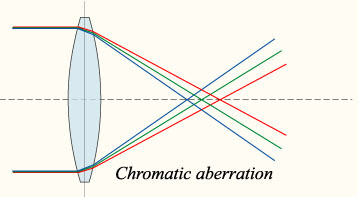 Purple fringing is a failure of a lens to focus all three main colors (Red, Green and Blue) to the same convergence poin, also known as "chromatic aberration". But not all purple fringing can be attributed to chromatic aberration. Colored fringing around highlights may also be caused by lens flare (burst of bright light). Another cause of purple fringing is chromatic aberration in the very small microlenses used to collect more light for each pixel on a digital camera sensor; since these lenses are tuned to correctly focus Green light, the incorrect focusing of Red and Blue results in purple fringing around highlights. 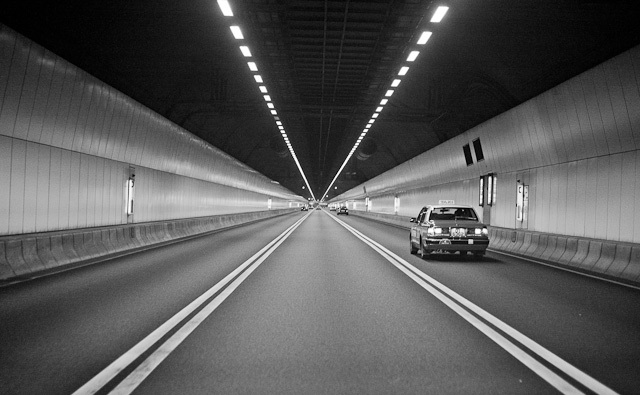 Chromatic aberration also affects black and white photography. Although there are no colors in the photograph, chromatic aberration will blur the image. The longer focal length, the less purple fringing there traditionally is. The more a lens is stopped down, the less purple fringing there is. I bump into things, and some times I drop a camera on the floor. My lens shade on the Noctilux has been fixed and replaced several times and the filter tread on the lens has been replaced twice because the lens had been hit so hard the filter tread was bend and I couldn't screw an ND filter onto it. Does that make me wonder if the glass in the lens has also been shifted? Of course! 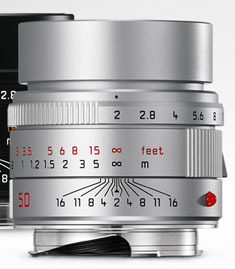 Several times I've had the idea that a lens had to go back to Leica Camera AG to get adjusted completely. I look at the images and I wonder if the fringing is because the optics inside has been misplaced. But when I get my hands on a similar lens and have had opportunity to test two lenses against each other, again and again I have beena ble to establish that the lens was working perfectly fine. I'm just mentioning this as you might suspect your purple fringing to be caused by inaccurate mounting of the glass. And if so, stop worrying about it. 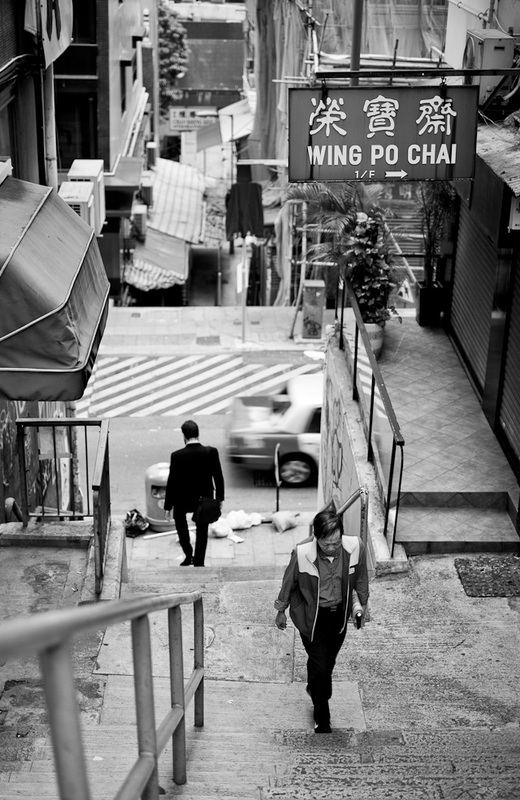 I most often use the JPG Fine from the Leica M 240 (and Leica M9) as my monochrome iamge. 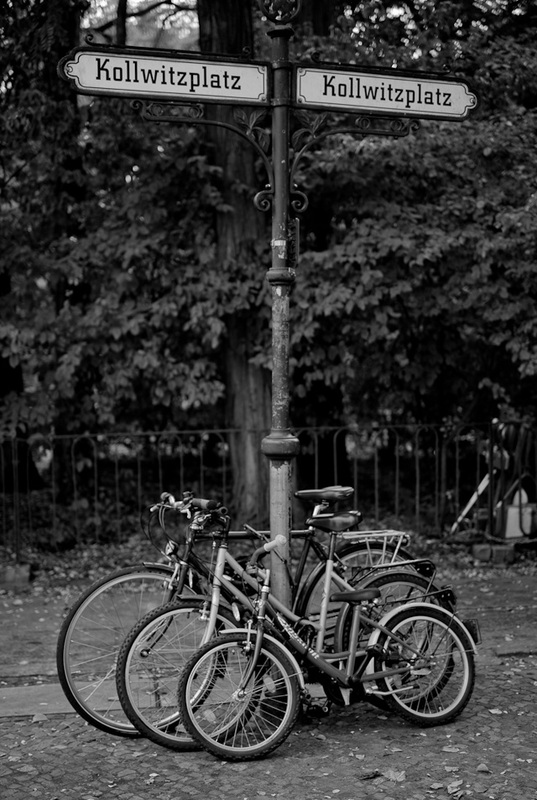 I set the camrea so it does DNG and JPG Fine at the same time, and then I set the JPG Fine to black and white. It's evident that the high contrast from the backlight, with a dark silhouette in front of it, out of focus, will create purple fringing. f/.095 Noctilux at f/0.95, 400 ISO 1/60. Here the same image to the left is corrected in Lightroom. 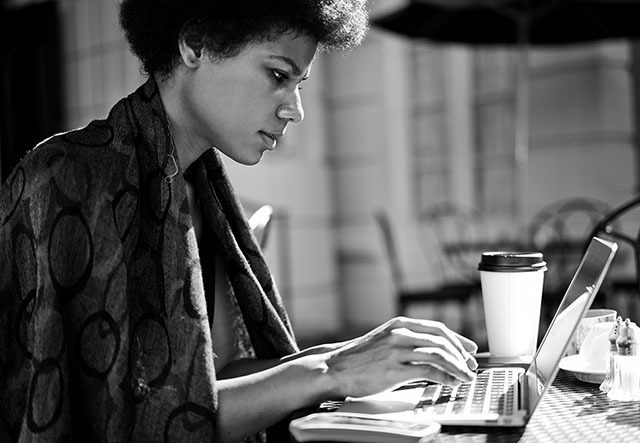 The JPG Fine monochrom image has strong signs of the purple fringing that was translated to monochrom in the camera while making the JPG Fine. Here is the new black & white image made in Lightroom by using the corrected DNG color image as the basis. I simply change it to black & white in Lightroom and then edit it to the tonality and contrast I want. Strong sunlight or strong light from a lamp is a condition that will very often result in purple fringing. The strong light hits an edge of something and you get purple fringing. 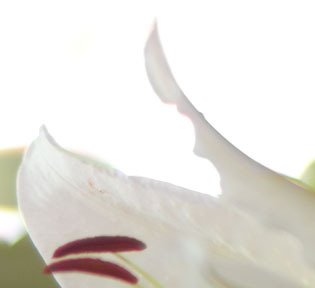 If you shoot against the light, purple fringing is likely to occur on any high contrast edges. But the light condition that might surprise you the most is low light photography agains a low light source. 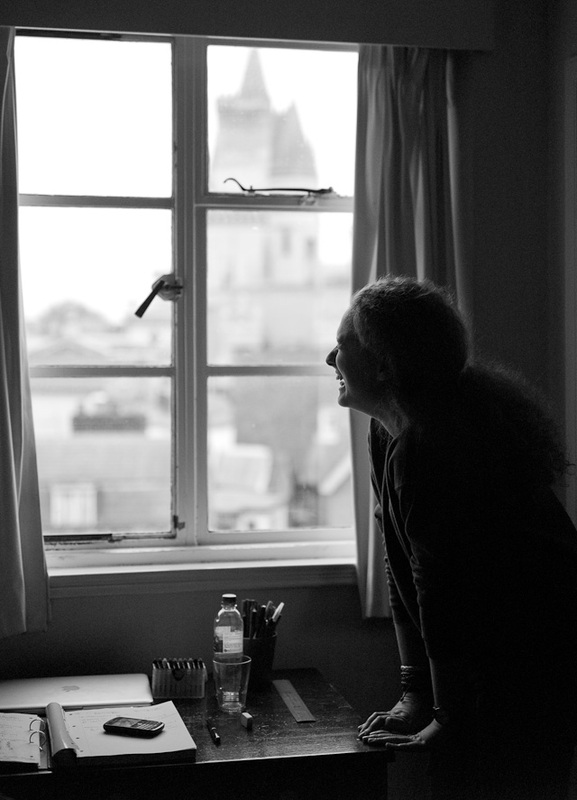 It's typically that you shoot against a window or opening in a dark room and with dull light from behind. You won't recognize this as sunshine. Far from, because the whole scenery is so soft lit it's almost dark. But this is where you will realy get intro purple fringing trouble. This is also the type of light that is so soft and dark that most people don't see how beautiful it will be when the camera compensate for the darkness and make it daylight. But with the advantage that the softness stays and there are no hard shadows on faces, the small reflections that are invisible to the eye in so low light sparkles in the image. If you photograph in the twilight or "blue hour" (which is the 30-60 minutes) after the sun disappear in the horizon, that's the type of dark soft light. The sample above looks as a flood of light but is shot at 400 ISO f/0.95 at 1/60 second. That's how little light there is. But relatively there is a flood of light coming in from the window behind. Lulu working on a plan. Hollywood 2015. Leica M 240 with Leica 50mm APO-Summicron-M ASPH f/2.0. As a side note, this is also the type of light where use of filters become a problem. Clear filters will possibly create some reflections and softness of the image. Either visible or not. Grey filters (or ND filters; Neutral Density filters) will create softness due to their dark surface that relects internal like a mirror. And the variable ND filters with two dark glass surfaces mounted as a sandwich will for sure create softness in an image made in soft light with a light source behind. You wouldn't nomrally have an ND filter on to recude the light in such conditions, but if you use a variable ND filter you might actually keep it on and set it to just a 1/3 stop reduction of light. As such, the ND effect will not cause any problem for the exposure (being just 1/3 stop), but the two layers of dark glass will. f/0.95 at 800 ISO at 1/90 second. 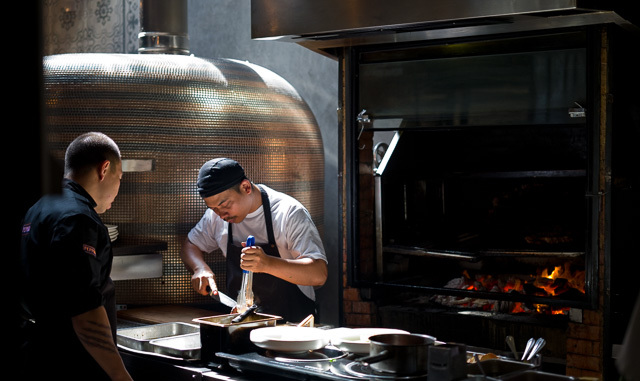 The Leica 50mm APO-Summicron-M ASPH f/2.0 pictures has a natural look that is classic, yet very modern in technical quality. There is no evident added contrast or added sharpness. It's just a natural balance. Leica M Monochrom with Leica 50mm APO-Summicron-M ASPH f/2.0. © Thorsten Overgaard. Peter Karbe knew for years it was possible to make the perfect 50mm lens, but unfortunately at the same time he also knew it would be impossible to demand from customers what it would cost. I frankly don't know what happened that changed things. But let me guess: Inside the old Leica Camera AG factory building in Solms, built in a less fortunate period of the 100 year era of the Leica camera brand was a crazy CEO - in a sort of good way - Mr Steven Lee (2006-2007) who had grown a lens-designer-crush on the shy and genius Peter Karbe. Also inside that pathetic 1980-style factory building was the visionary Andres Kaufmann who had bought his way into the Leica factory. 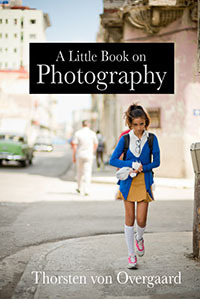 He bought a Leica pocket camera a few years before and liked it so much he lusted for more. 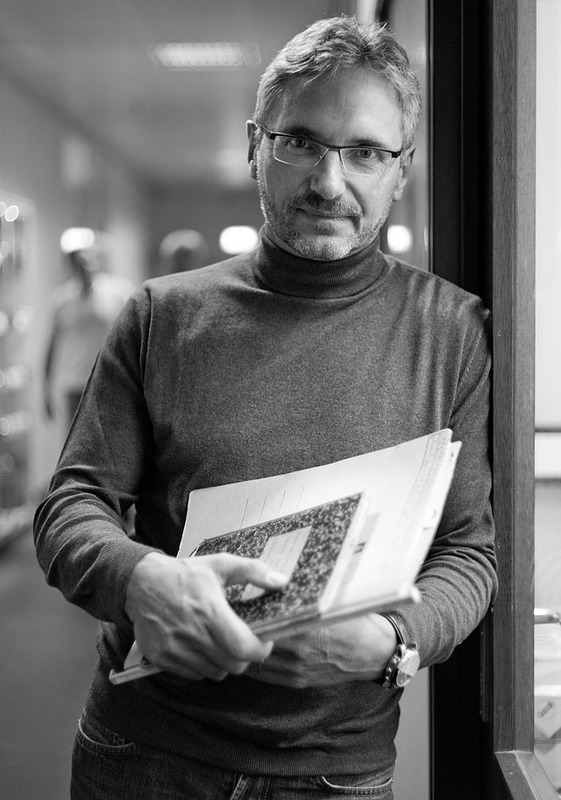 In retrospect some could compare Andreas Kaufmann to Steve Jobs. 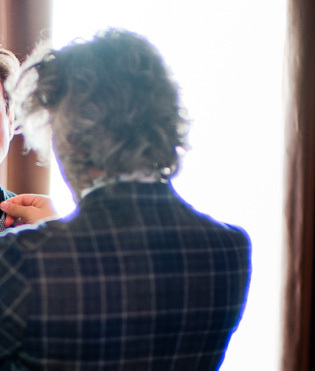 He took over a trainwreck and turned it into thriving financial success. To complete the picture, Leica at this point in time - beside working on not dying - had launched an expensive R&D program to develop the Leica medium-format camera Leica S. A project so daring it was nothing less than to live or die in the attempt. What exactly happened inside the factory that made them give Peter Karbe the green light to make the dream lens is up to anyone to speculate about. 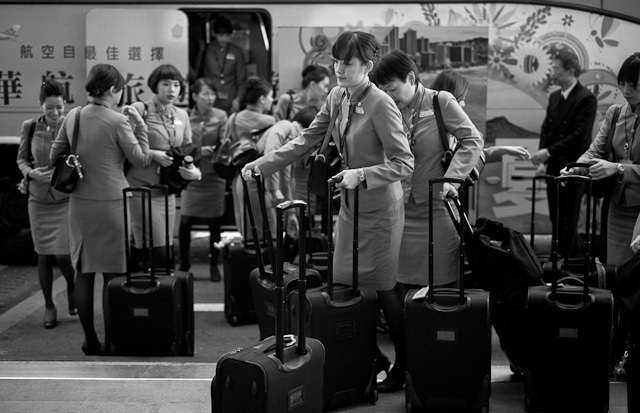 A deciding factor could be that all over the world enthusiastic people were on waiting lists for Leica lenses. 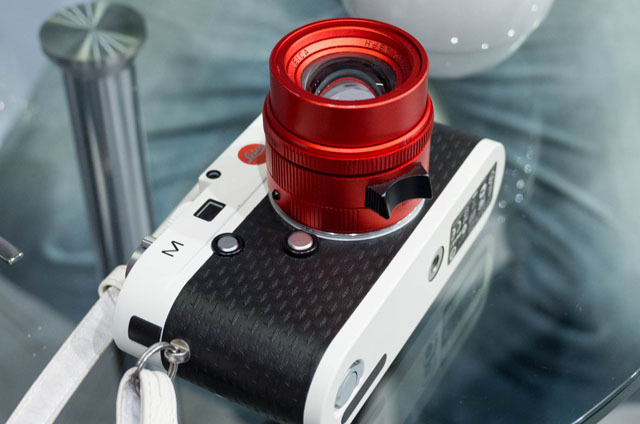 The exotic Leica lenses such as the $5,000 Leica 35mm Summilux-M ASPH f/1.4, the $4,000 Leica 90mm APO-Summicron-M ASPH f/2.0 (two years waiting list), the $10,500 Leica 50mm Noctilux-M ASPH f/0.95 (one year waiting list) ... the list goes on. 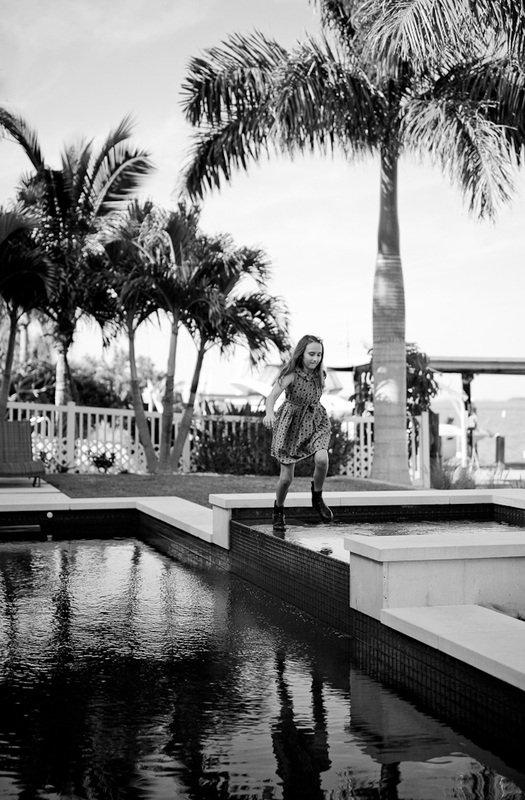 Mila playing by the pool in Clearwater, Florida. 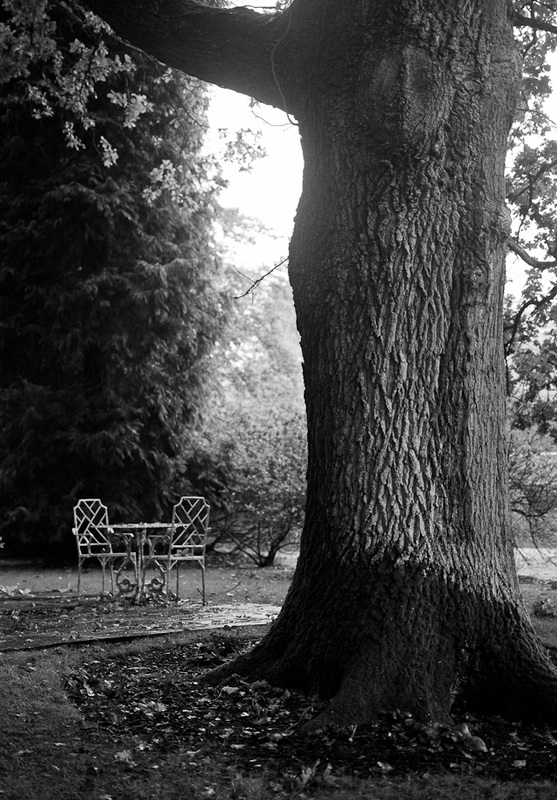 Leica M 240 with Leica 50mm APO-Summicron-M ASPH f/2.0 with B+W ND-filter (X4/2-stop/0.6). Leica Camera AG was a factory where the employees would spend more time answering calls about "When can I get more lenses?" with "We don't know!" than counting the nonexistent stock. The worlds most expensive lenses for 35mm cameras couldn't be produced fast enough to supply demand. In light of this if you are a true adventurer, of course a $8,000 lens can be marketed and sold. Yes, that pretty much sums up what anybody in a business school should know about this example of decision-making and market analysis of supply and demand. 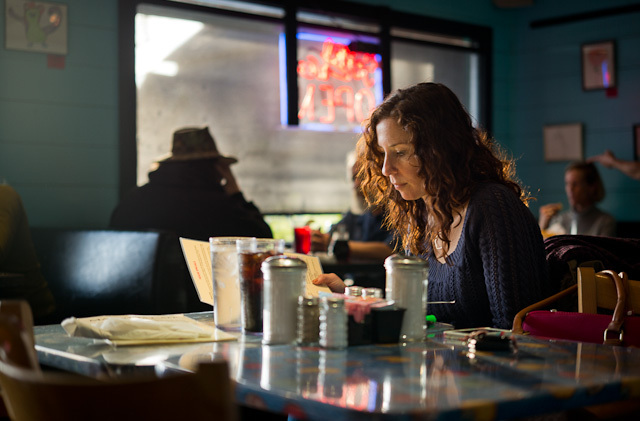 The Magolia Cafe in Austin, Texas; a 24-hour American diner with a cast of interesting characters. I don't like to talk about left and right brain, but in this context it might help to shed some light over what Leica is, and how it became Leica. The beginning of Leica was when a genius, Oskar Barnack, trollyed around in Wetzlar in 1910-1911 and somehow combined his fasination for motion picture with an idea of putting motion picture film inside a small, portable metal box with a lens attached. 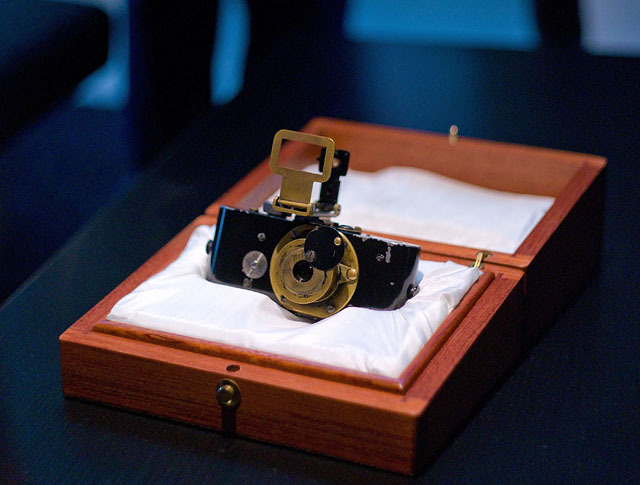 This became the first Leica camera, the Ur-Leica. "Barnack's camera," "Barnacks apperatus", or the Ur-Leica as it is called. It was first introduced to the market as Leica A at the 1925 spring fair in Leipzig, and then they sold 1,000 the first year. The original prototype that Oskar Barnack built of the camera (above) resides in a safe at Leica Camera AG in Wetzlar. Photo: © 2012-2015 Thorsten Overgaard. 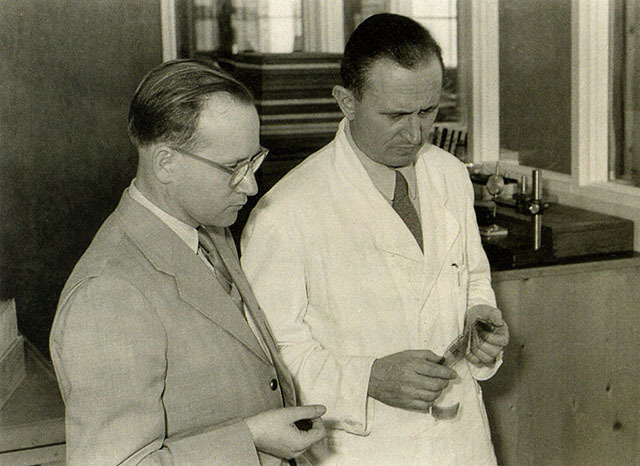 The owner of Leica back then, the Leitz family, had made microscopes for almost a lifetime and had lost a lot after World War I; the whole Russian market to be exact. School kids would collect their dads paycheck at noon in the factory in Wetzlar, then run as fast as they could to the bakery to buy bread before the inflation caught up with them. It was hard times. Nevertheless, at a point where things had looked realy awfull for a number of years, the Leitz family decided to put this new technology into production and make a batch of 1,000 cameras to be launched in 1925. Despite a lot of wise peoples advice that such a small camera could never work, the Leitz family and their dedicated staff made it into the worlds dominating camera for the next 35-40 years. Without this reckless decision made at the worst possible time, Leica wouldn't have become Leica. One of many highlights in the period after the introduction of the Leica was the Leica 50mm Noctilux-M f/1.2 that was an impossible lens made into reality in the 1960's. Some of the highlights in recent years of similar reckless impossible dreams made into reality is the Leica M9 full-frame digital rangefinder (which was definitely impossible to make untill it surfaced in 2009), the Leica M Monochrom black and white digital rangefinder (that nobody in their right mind would make), the 21mm Summilux-M ASPH f/1.4 lens (that is too big and expensive for anybody to want) and the re-make of the above mentioned Noctilux f/1.0 to a modern 50mm Noctilux-M ASPH f/0.95! 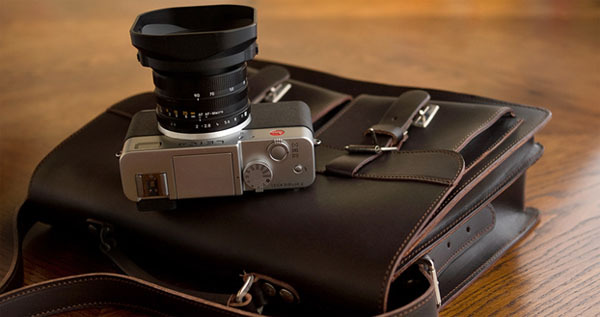 Oh yes, and the Leica S as well. A complete new camera system developed from scratch, aimed at a professional market it has even today hardly started to penetrate. But so popular amongst well-off and wealthy photo-enthusiasts, that segment alone has made it into a financial success. Something interesting happens when you apply German precision engineering to stupid dreams: They work and become state of the art tools. The stuff people dream of because nobody else does such stuff in a world where most braindamage in research and development departments is occupied with how to make more stuff for less money. The 50mm APO-Summicron-M ASPH f/2.0 lens follows this pattern of unlikely dreams made into reality by reckless decisions from the minds of dreamers. Ideas realized at times where any banker with a sound mind would have required the key to the factory and spent every hour awake trying to split the company up in smaller pieces to liquidate it. In contrast to this clearly right-brain management of the brand is the left-brain: The defensive and cautious products aimed at pleasing what is presumed to be the market that everybody is fighting to get a fair share of. It is unlikely Leica would have survived without both the left-brain and the right-brain, but what should be noted is that without the reckless decisions about launching crazy products into the market, the Leica brand wouldn't be so special. Steve Jobs said in 2010 that Apple was always about how to make the best possible product for the end-user, and it always would be. This is a strategy that led Apple to becoming the most valuable company in the world. It's not a bad idea to make the best possible products. Hong Kong. Leica M 240 with Leica 50mm APO-Summicron-M ASPH f/2.0. In all fairness, the left-brain products from Leica have supported the company well. The small cameras made with Panasonic have generated a lot of revenue in times where Leica Camera AG wouldn't have survived without it. The binoculars are still an important part of the Leica Camera AG revenue. The 100th year anniversary of the Leica camera in 2014 was an avalanche of left-brained decisions to make limited editions of almost everything in the catalog, with a brain-dead "100 Year" stamp on top. New York. Leica M 240 with Leica 50mm APO-Summicron-M ASPH f/2.0. If we take a short trip in the time machine to year 2050 and look back, then how many will rememeber the Leica with a "100 Year " stamp on the top plate? That's right, very few! What we will be talking about will be the 50mm APO-Summicron-M ASPH f/2.0, the Leica 50mm Noctilux-M ASPH f/0.95, the Leica M Monochrom, the Leica M9 and possibly the Leica S family. 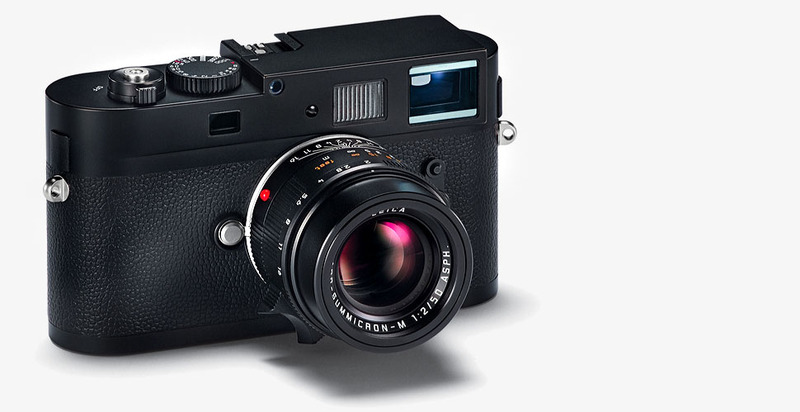 Those dream-toys are what made and still make the Leica brand. In 2050 those products will still be traded on eBay, just like the 35 year old Leica Noctilux-M f/1.0 from 1980 is still traded at lossless prices if you bought the lens back then and sold it now. 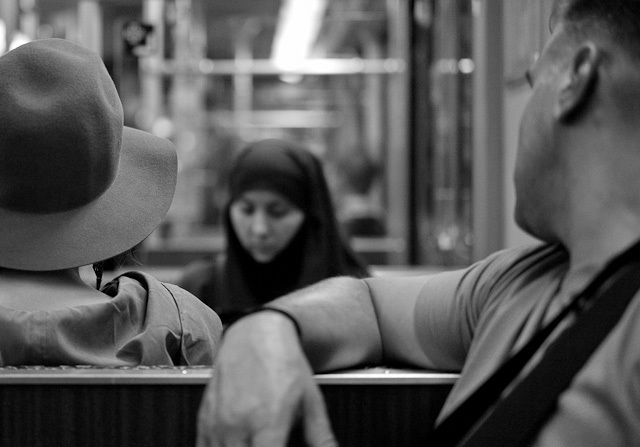 On the U-Bahn underground train in Berlin. Leica M 240 with Leica 50mm APO-Summicron-M ASPH f/2.0. The final stages of introducing the lens turned out to be painful for both CEO Alfred Schopf and the lens designer Peter Karbe, and a few others. For some very long months that must have felt like eternity, nobody was really happy to talk about when the lens would actually start to ship. The level of precision work assembling the new lens was on the edge of what even Leica Camera AG could manage. To put things in perspective, the Leica Cine lenses are so demanding to produce that the people with the most steady hands have been moved over to that production line. They came from the Noctilux production, amongst other places. Robin having a Frozen moment in Hong Kong. Leica M 240 with Leica 50mm APO-Summicron-M ASPH f/2.0. Whatever the idea as to how the 50mm APO could be produced and assembled, and by who, Leica Camera AG had to make a few adjustments before they got the hang of it. When the lens finally started shipping in small numbers, Leica Camera AG had to go through the embarassment of recalling some of the first lenses to investigate occasional flare problems that Lloyd Chambers at digiloyd.com had reported about. For a very long time nobody at Leica Camera AG couldt explain the reason for the occasional flare, even less find a solution for it. Eventually they figured it out and got it right. Or they stopped wondering and went back to the original plan on how to make it right and followed it rigidly. Now people are waiting happily as usual for this wonderful lens that doesn't look much different than others from the outside, except the accompanying price tag of $8,250. 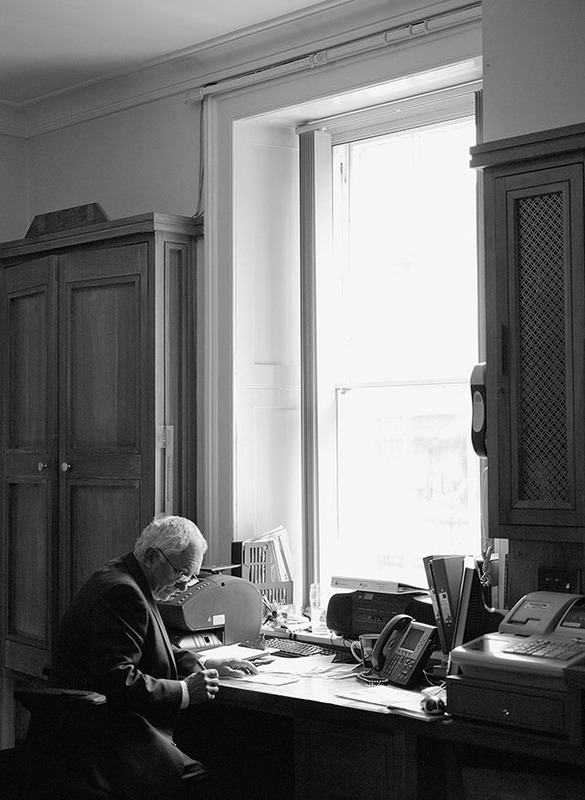 When we met with Peter Karbe, we also inquired into what he is working on currently. Peter Karbe revealed that he is working on a lot of new things ... but he wasn't allowed to talk about it. You hear it here first! 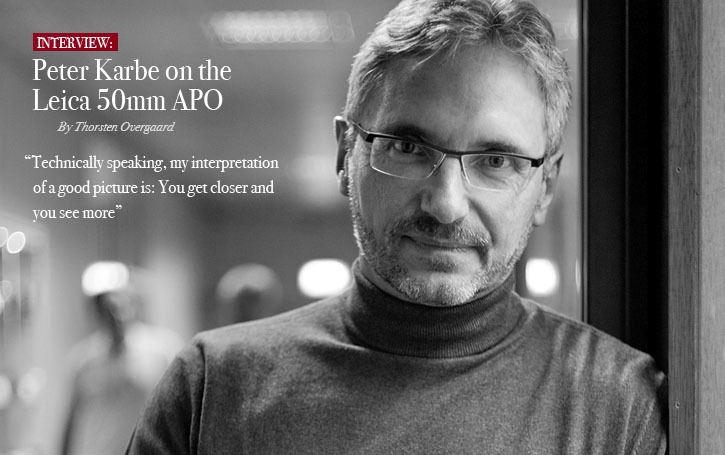 See his Page 1 and Page 2 of his article on the 50mm APO. Steve Huff also have reviewed the Leica 50mm APO-Summicron in his Part 1: "Technically, the best 50mm lens I have ever shot with. Period. End of Story. Done Deal. No contest. Really!" – Steve Huff. 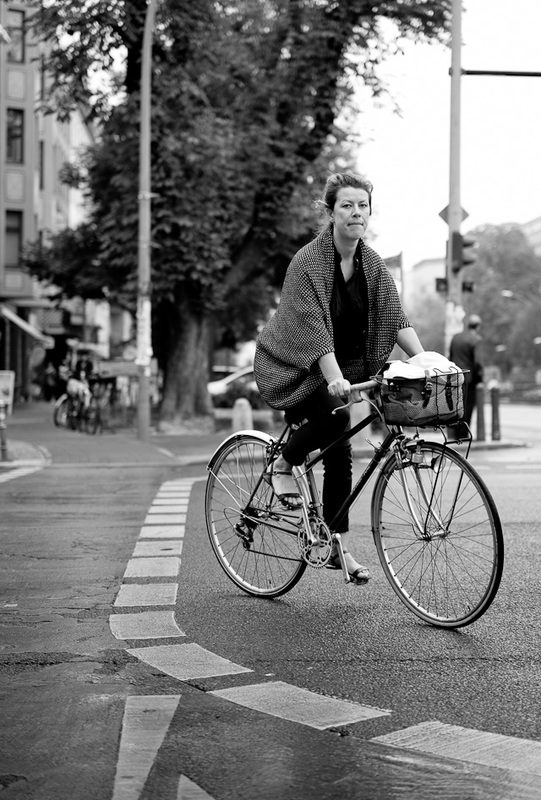 Howard Shooter wrote this article, "Copenhagen with the Leica M 240 and 50 APO-Summicron" article. 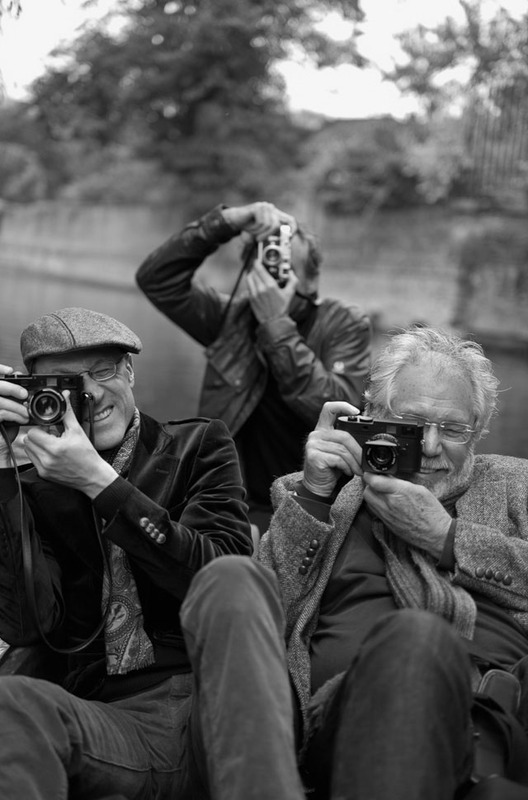 Peter Karbe & the Leica APO-Summicron-M 50 mm f/2 ASPH. from Leica Camera. Feel free to send me an e-mail with comments, suggestions, ideas, corrections. 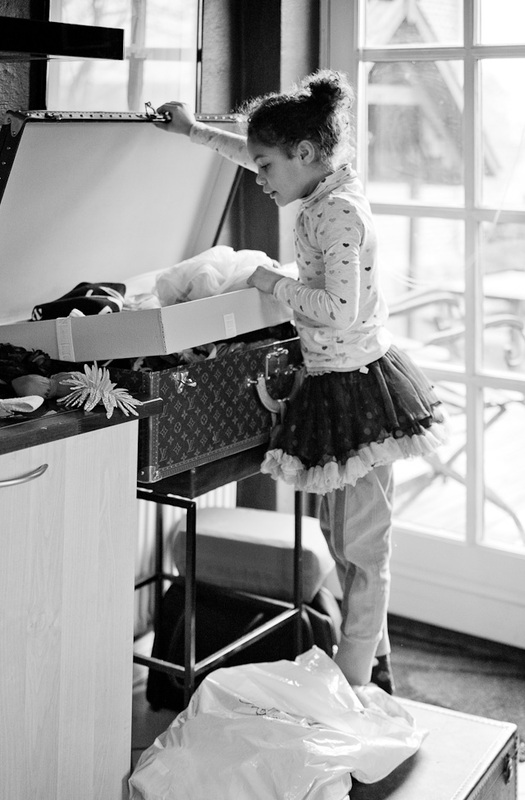 One last image to sleep on: The Leica 50mm APO-Summicron-M ASPH f/2.0 on my Leica M 240. Above: The Leica 50mm APO-Summicron-M ASPH f/2.0 on my Leica M 240. © 2015 Thorsten Overgaard. 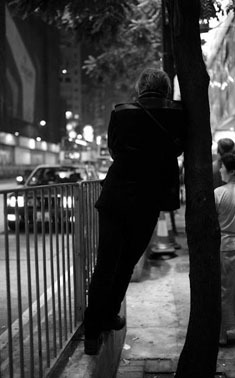 Thorsten von Overgaard in Hong Kong by Lee Yu Chaun. What is purple fringing and how to get rid of it. 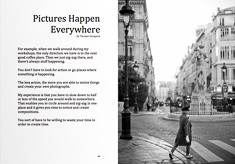 The photos on this page have been edited in Adobe Lightroom 3.6 or Lightroom 6.x using Process 2010. A few or none have been adjusted further in Photoshop. 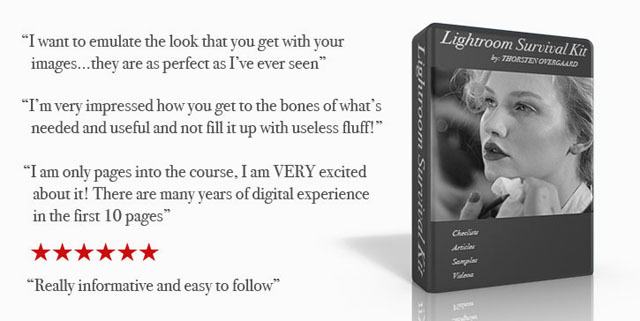 To read more about my workflow, visit the "Lightroom Survival Kit". Leica 50mm APO-Summicron-M ASPH f/2.0. Model 11141. Black. $7,795. Leica 50mm APO-Summicron-M ASPH f/2.0 LHSA limited edition 300 pcs (2018). 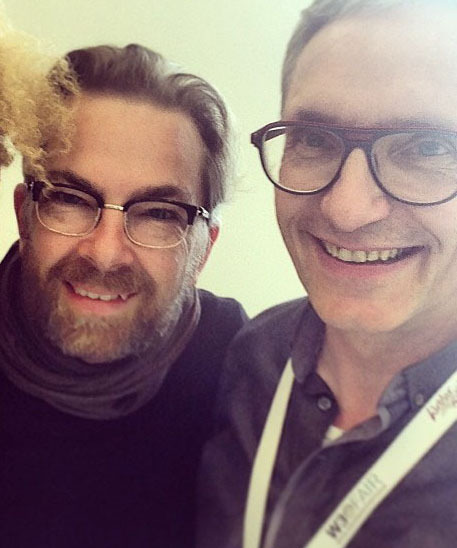 Joy Villa, Thorsten Overgaard and Peter Karbe in Wetzlar.